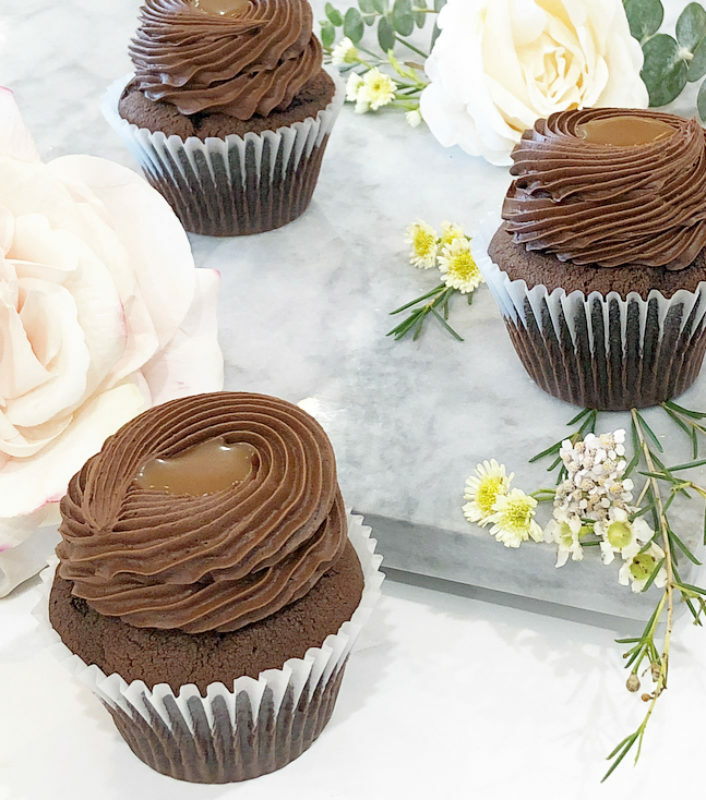 Your favourite cupcakes are now online! Make a splash! 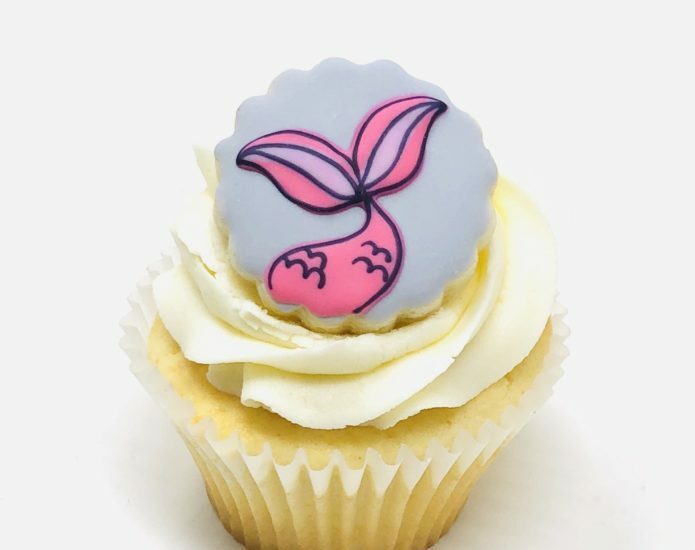 Mermaid Luxe Cupcakes are made from scratch and baked fresh to order. They are swirled with vanilla meringue buttercream in thoughtful watercolour hues and topped with a hand-decorated mermaid sugar cookie. Make it magical! 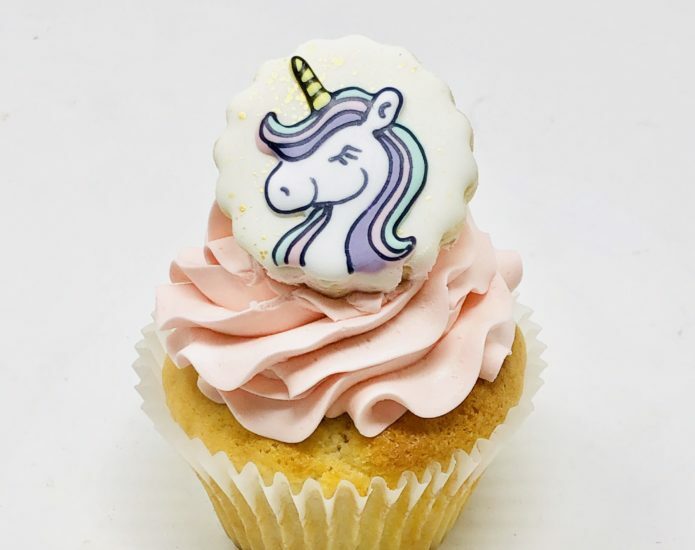 Unicorn Luxe Cupcakes are made from scratch and baked fresh to order. 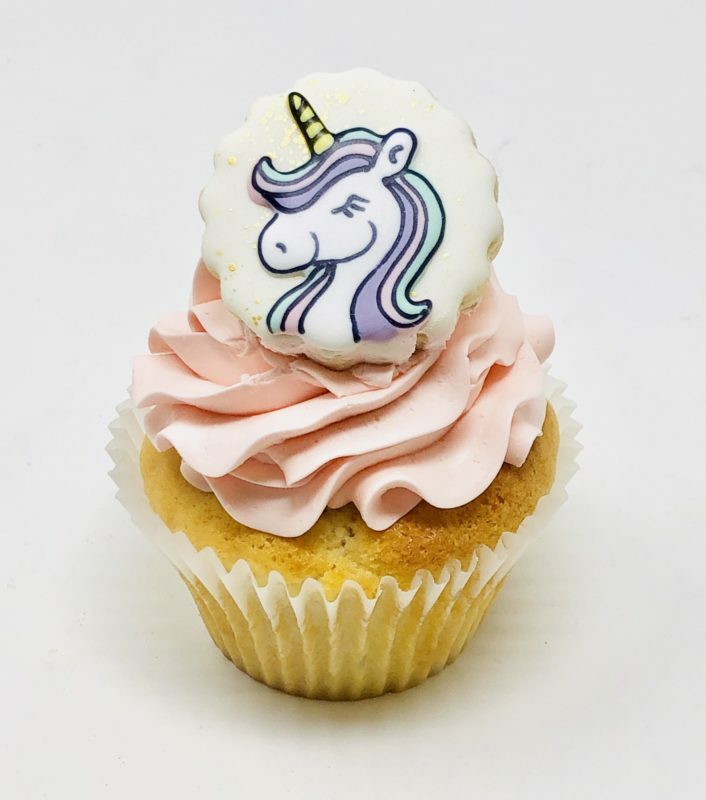 They are swirled with vanilla meringue buttercream in thoughtful watercolour hues and topped with a hand-decorated unicorn sugar cookie. Hoot hoot! 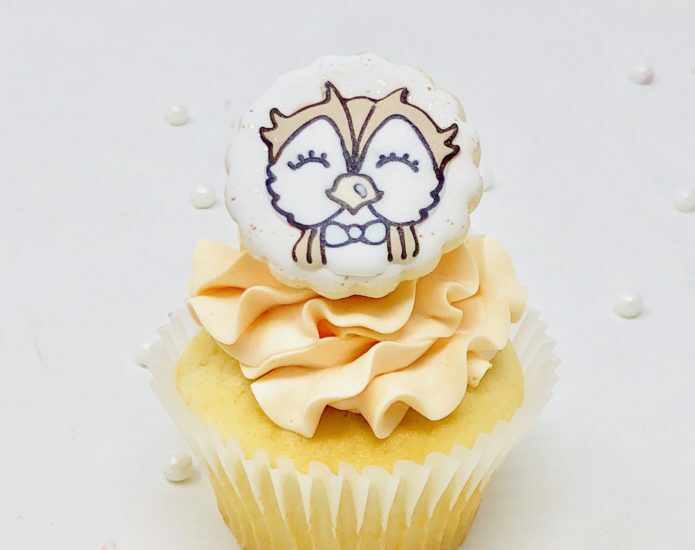 Owl Luxe Cupcakes are made from scratch and baked fresh to order. They are swirled with vanilla meringue buttercream in thoughtful watercolour hues and topped with a hand-decorated owl sugar cookie. Bohemian Fun! 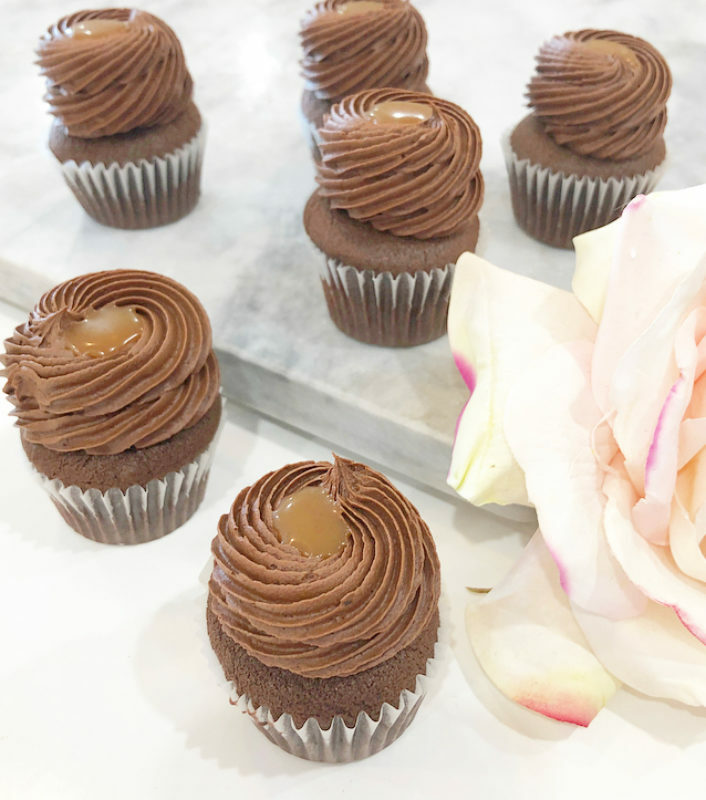 Fox Luxe Cupcakes are made from scratch and baked fresh to order. They are swirled with vanilla meringue buttercream in thoughtful watercolour hues and topped with a hand-decorated fox sugar cookie. Cute as a button! 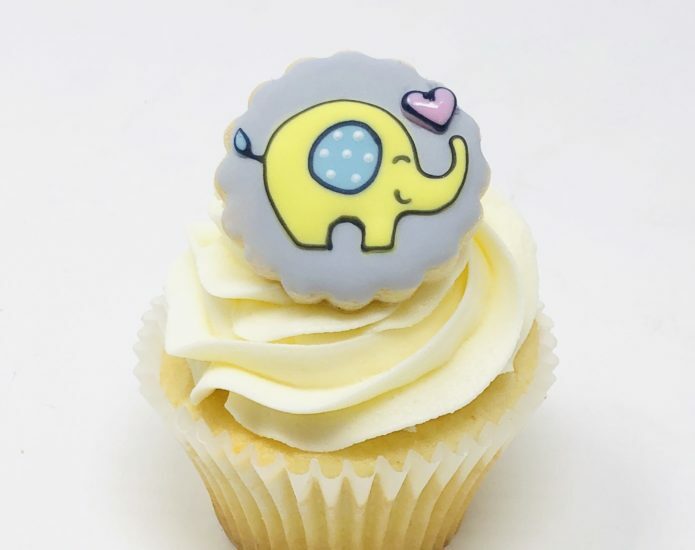 Elephant Luxe Cupcakes are made from scratch and baked fresh to order. 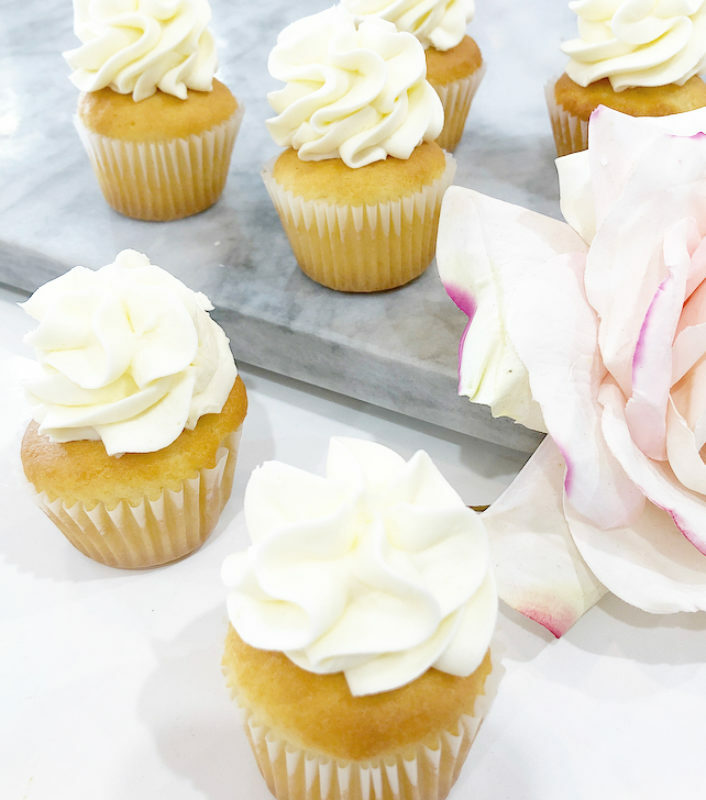 They are swirled with vanilla meringue buttercream in thoughtful watercolour hues and topped with a hand-decorated elephant sugar cookie. Make a splash! 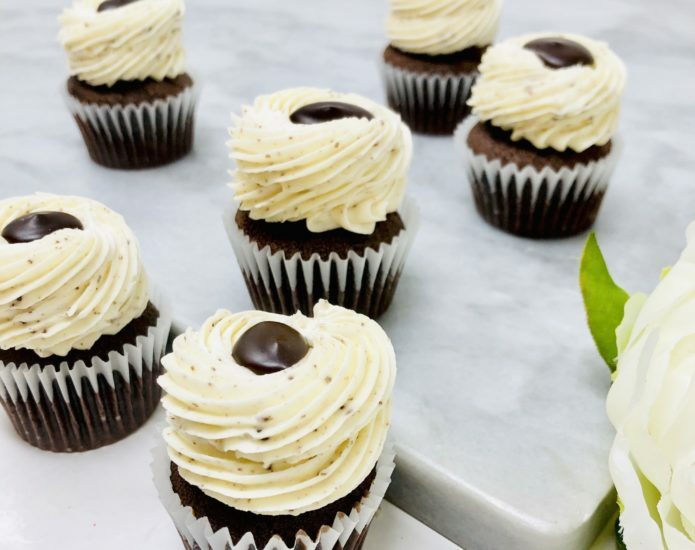 Whale Luxe Cupcakes are made from scratch and baked fresh to order. They are swirled with vanilla meringue buttercream in thoughtful watercolour hues and topped with a hand-decorated whale sugar cookie. Love is in the air! 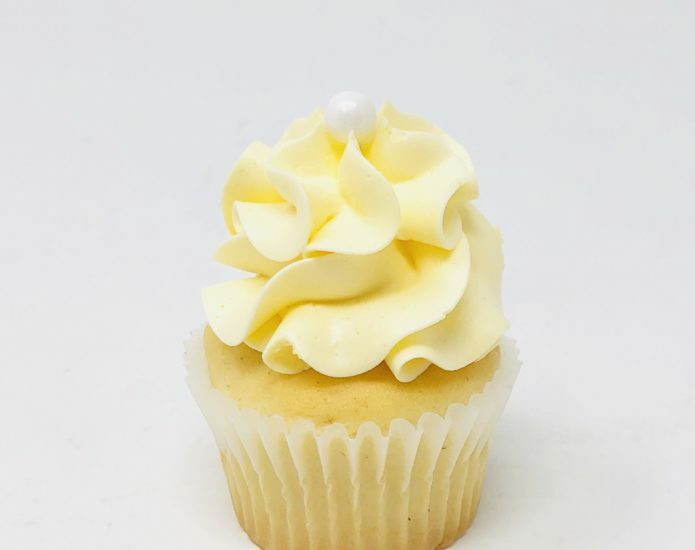 Gold Celebrate Luxe Cupcakes are made from scratch and baked fresh to order. They are swirled with vanilla meringue buttercream in any colour and topped with a hand-decorated heart themed sugar cookie accented with gold metallic. Personalize with initials for no extra charge. 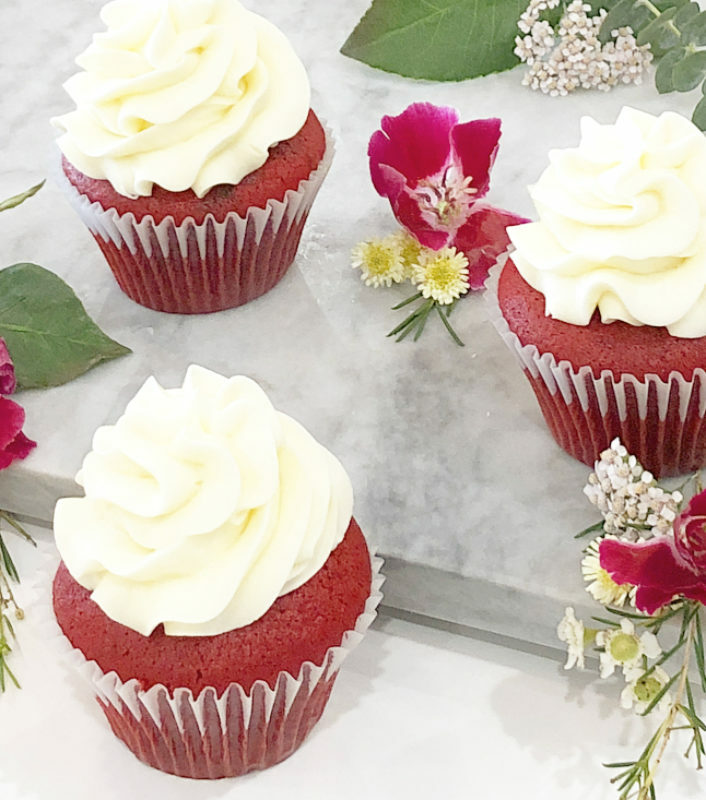 Perfect for engagement parties and anniversaries! Let’s Celebrate! 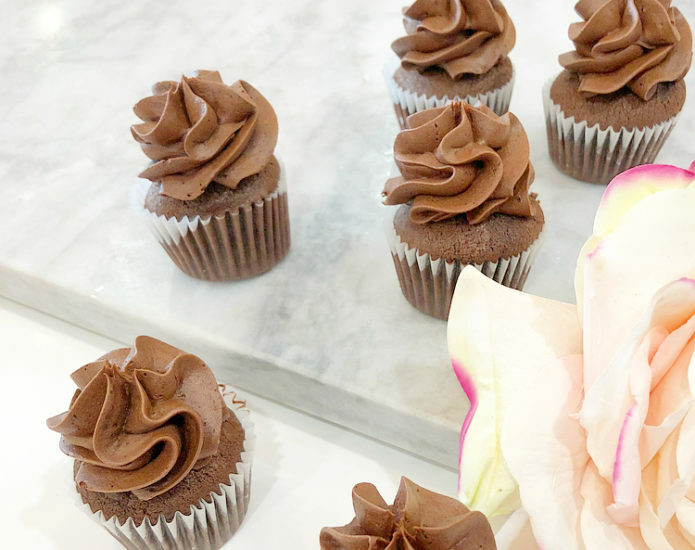 Party Luxe Cupcakes are made from scratch and baked fresh to order. They are swirled with vanilla meringue buttercream in thoughtful watercolour hues and topped with a hand-decorated party themed sugar cookie. Personalize with a number for no extra charge. Blessings! 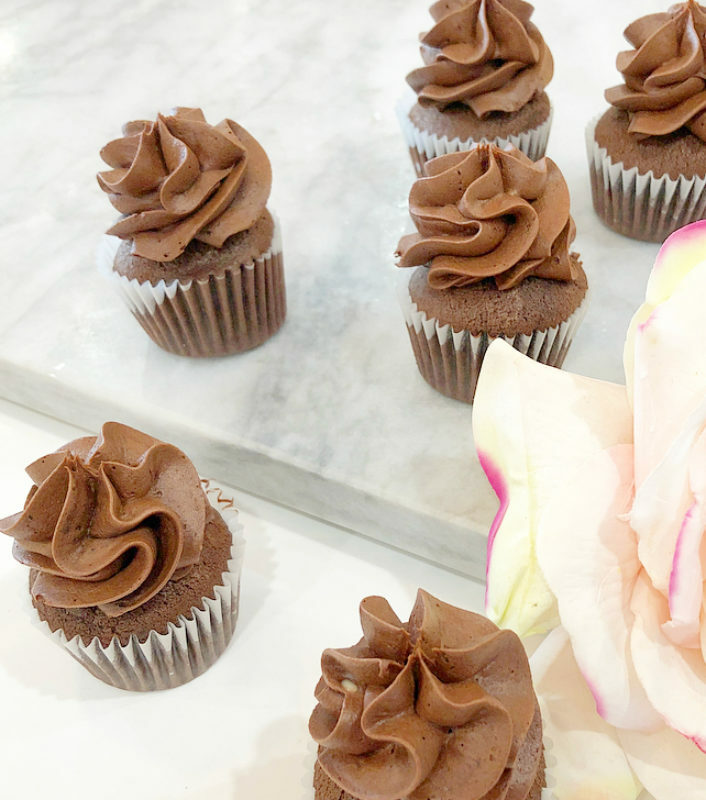 Cross Luxe Cupcakes are made from scratch and baked fresh to order. 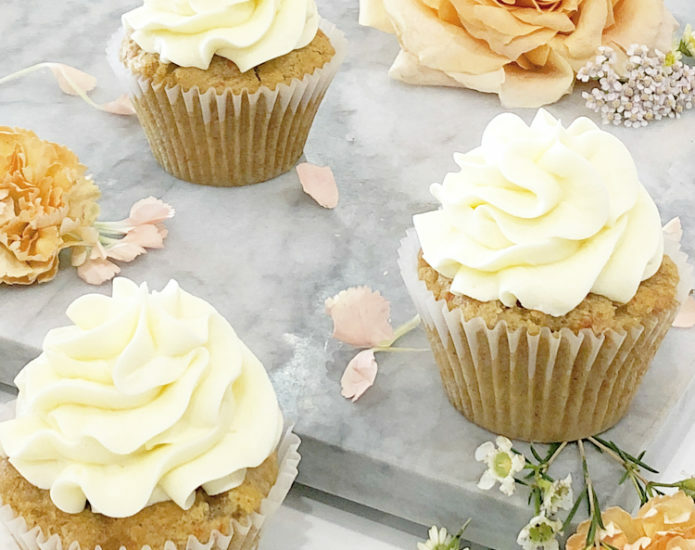 They are swirled with vanilla meringue buttercream in thoughtful watercolour hues and topped with a hand-decorated cross sugar cookie. Perfect for any religious celebration! Modern and trendy! 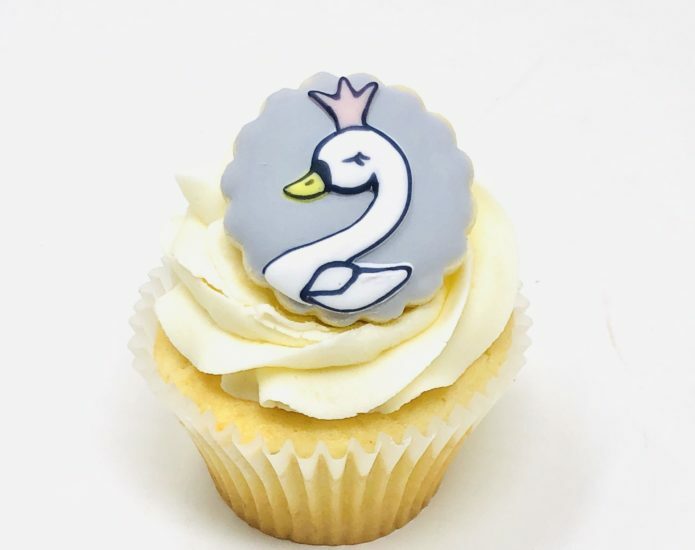 Swan Luxe Cupcakes are made from scratch and baked fresh to order. 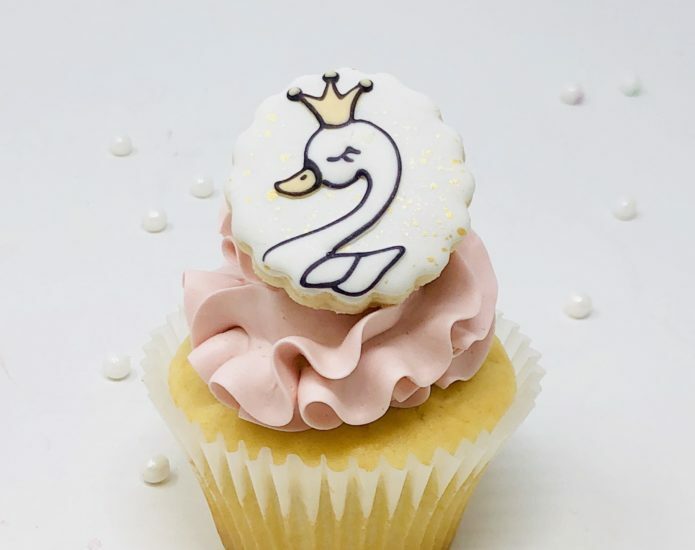 They are swirled with vanilla meringue buttercream in thoughtful watercolour hues and topped with a hand-decorated swan princess sugar cookie. Fiesta! 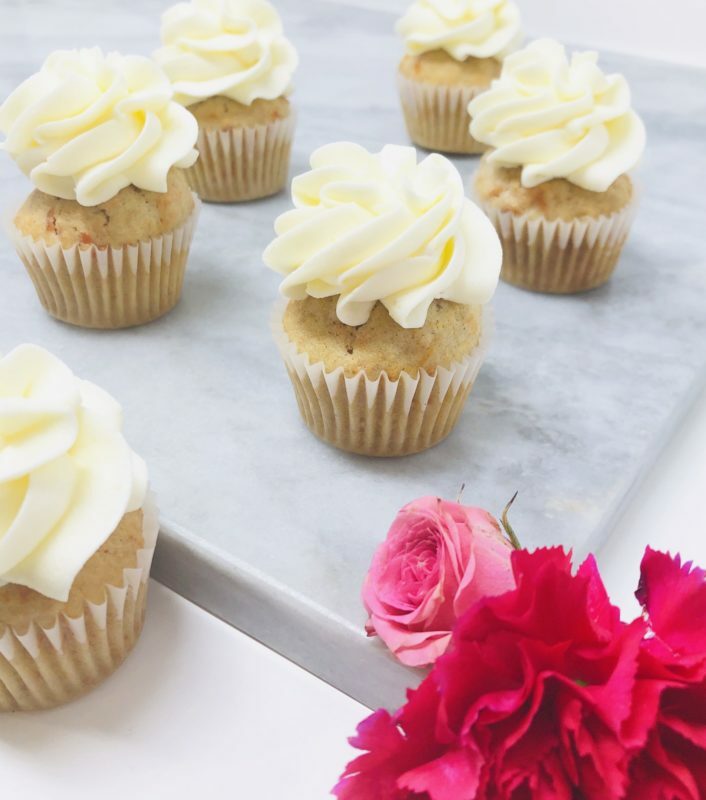 Llama Luxe Cupcakes are made from scratch and baked fresh to order. They are swirled with vanilla meringue buttercream in thoughtful watercolour hues and topped with a hand-decorated llama sugar cookie. Think pink! 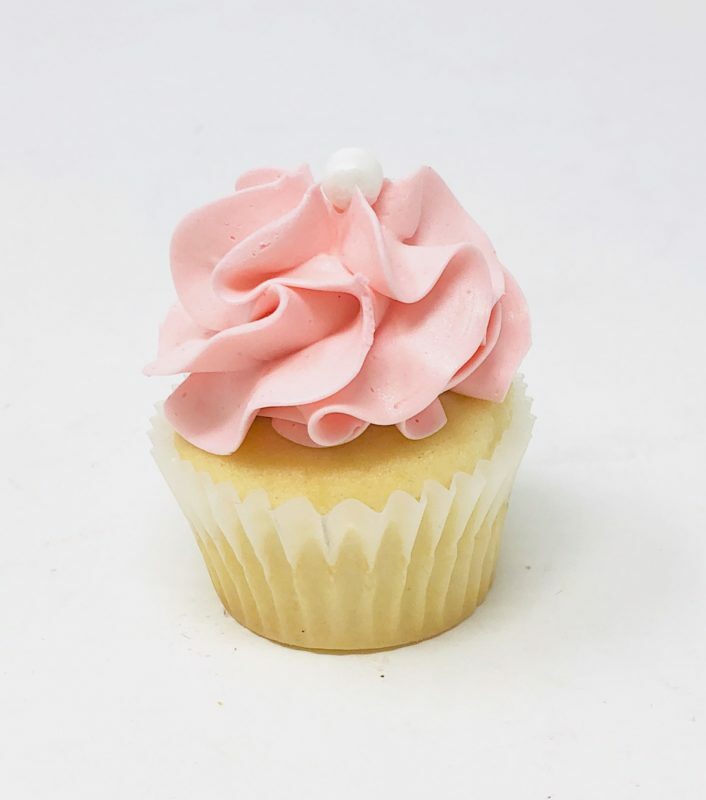 Pink Baby Luxe Cupcakes are made from scratch and baked fresh to order. 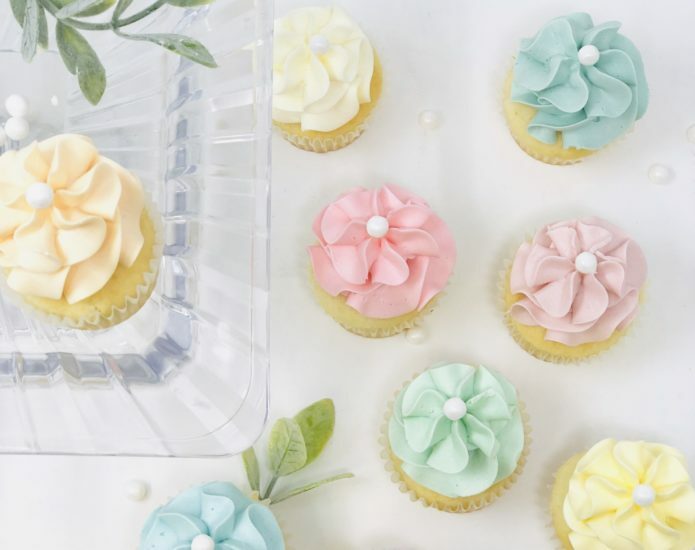 They are swirled with vanilla meringue buttercream in thoughtful watercolour hues and topped with a hand-decorated baby stroller sugar cookie. Perfect for baby showers! Oh boy! 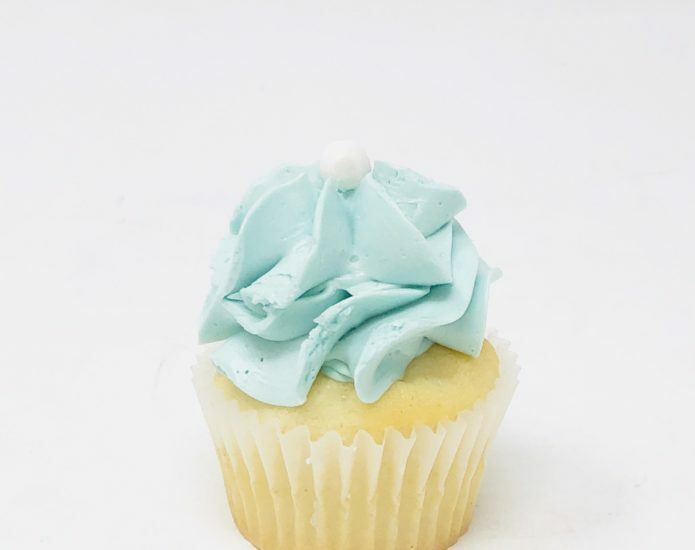 Blue Baby Luxe Cupcakes are made from scratch and baked fresh to order. They are swirled with vanilla meringue buttercream in thoughtful watercolour hues and topped with a hand-decorated baby stroller sugar cookie. Perfect for baby showers! Make it magical! 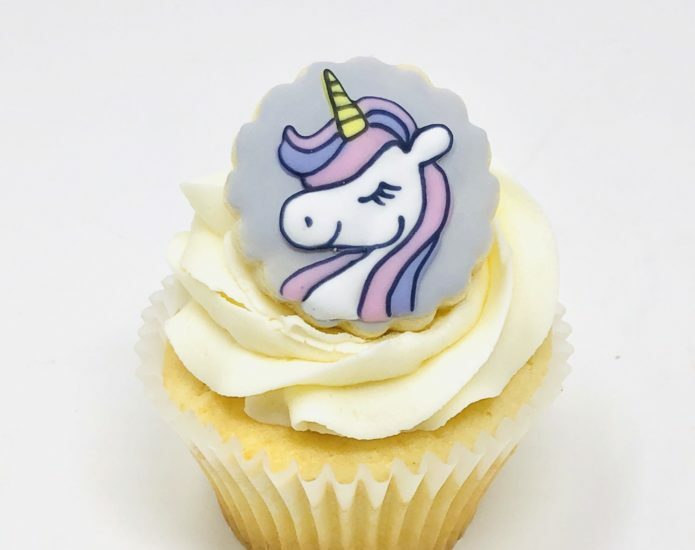 Unicorn themed cupcakes are made from scratch and baked fresh to order. 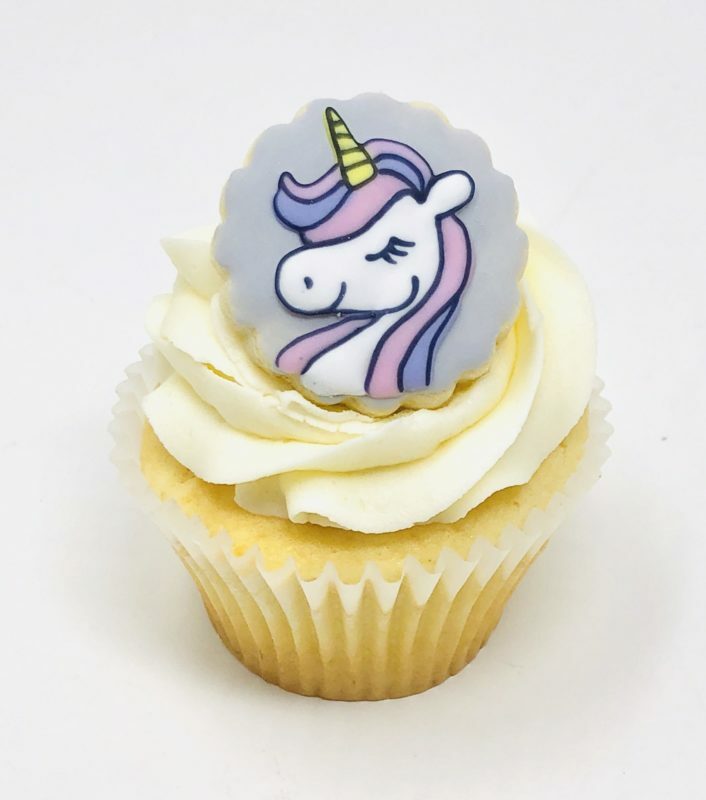 Each cupcake is topped with a hand-decorated unicorn sugar cookie. Make a splash! Mermaid themed cupcakes are made from scratch and baked fresh to order. 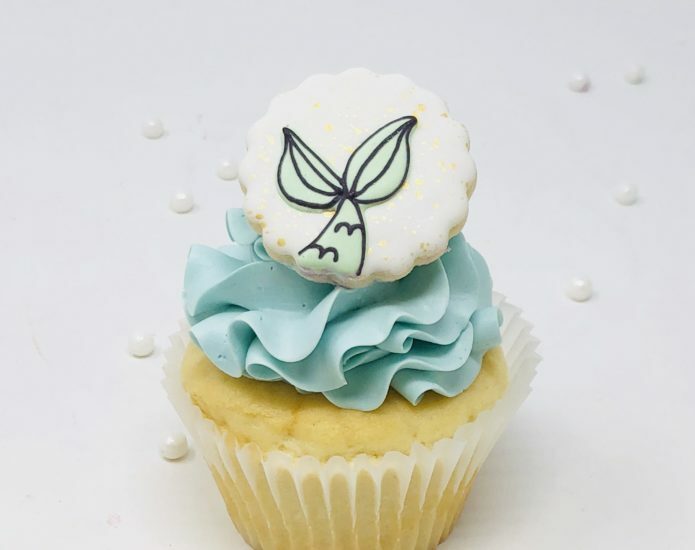 Each cupcake is topped with a hand-decorated mermaid tail sugar cookie. Arctic charm! 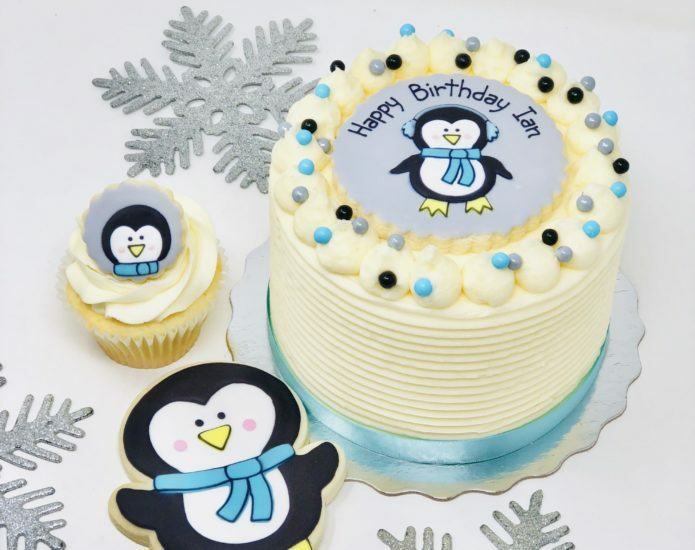 Penguin themed cupcakes are made from scratch and baked fresh to order. Each cupcake is topped with a hand-decorated penguin sugar cookie. Shoot and score! Hockey themed cupcakes are made from scratch and baked fresh to order. Each cupcake is topped with a hand-decorated hockey themed sugar cookie. What a catch! 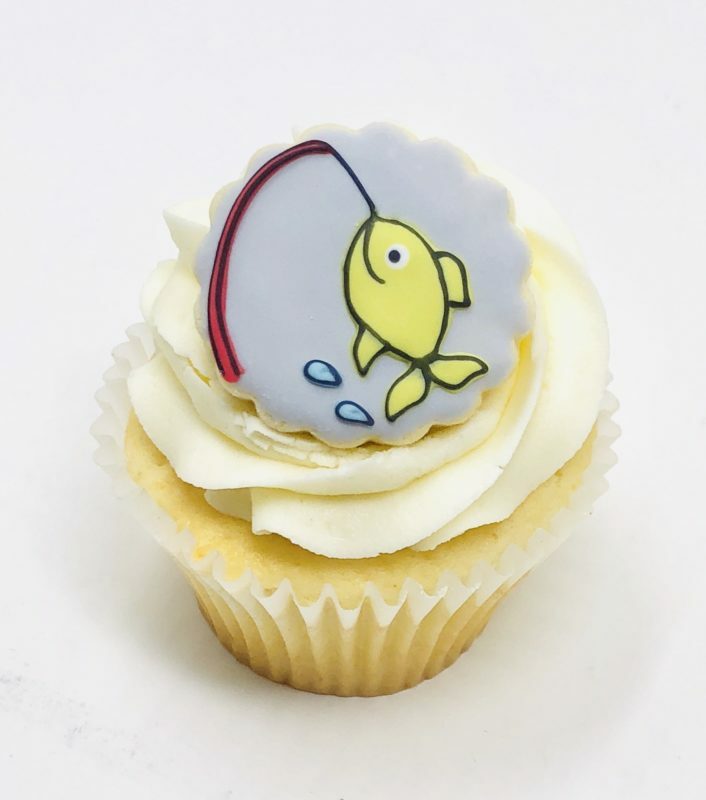 Fishing themed cupcakes are made from scratch and baked fresh to order. 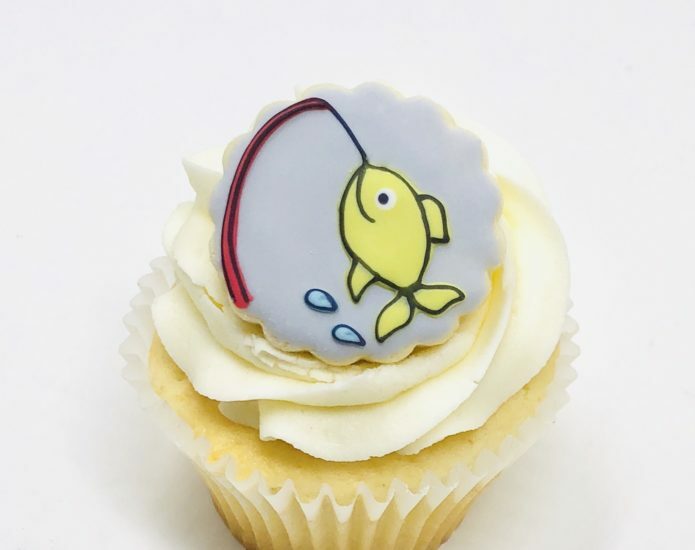 Each cupcake is topped with a hand-decorated fishing themed sugar cookie. Pretty in pink! Flamingo themed cupcakes are made from scratch and baked fresh to order. 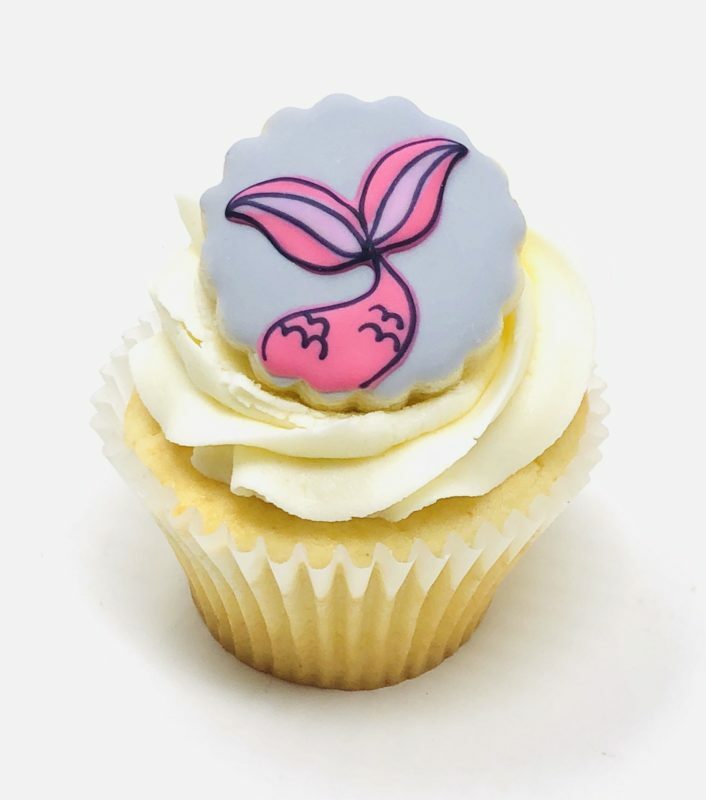 Each cupcake is topped with a hand-decorated flamingo sugar cookie. Puppy love! 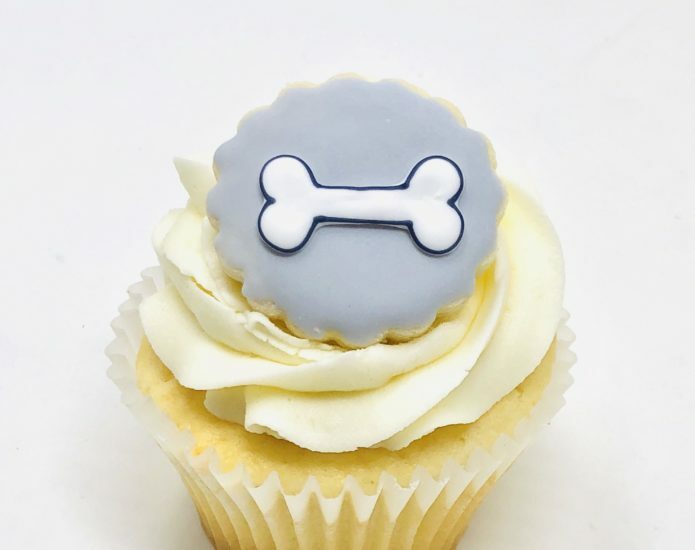 Dog themed cupcakes are made from scratch and baked fresh to order. 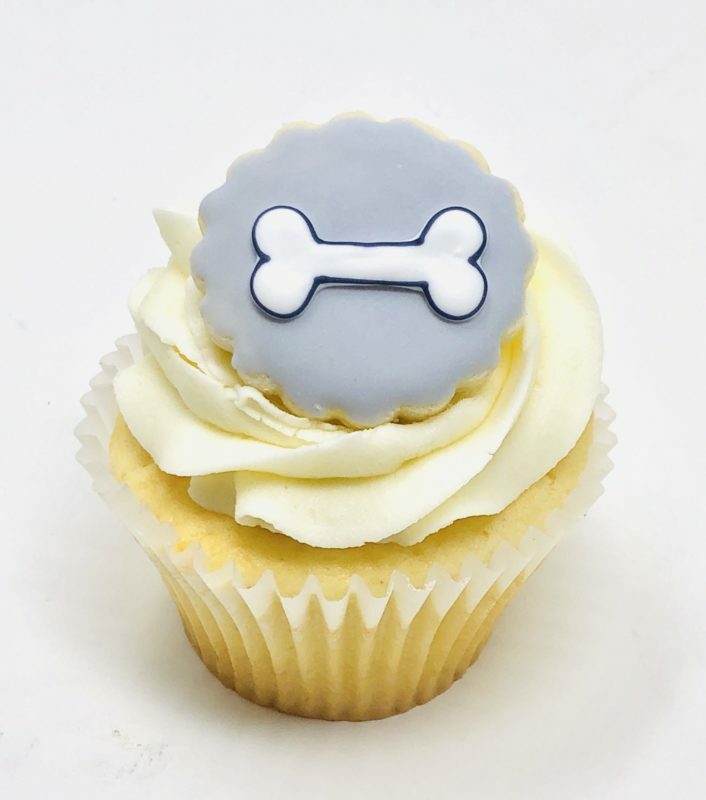 Each cupcake is topped with a hand-decorated dog bone sugar cookie. Out of this world! Alien themed cupcakes are made from scratch and baked fresh to order. Each cupcake is topped with a hand-decorated alien sugar cookie. Sprinkle happiness! ‘Doughnut’ themed cupcakes are made from scratch and baked fresh to order. Each cupcake is topped with a hand-decorated doughnut themed sugar cookie. Cute as a cupcake! 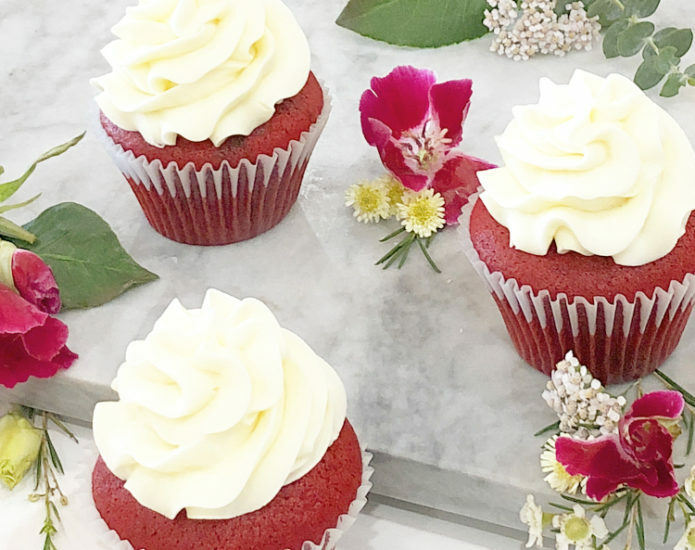 ‘Cupcake’ themed cupcakes are made from scratch and baked fresh to order. 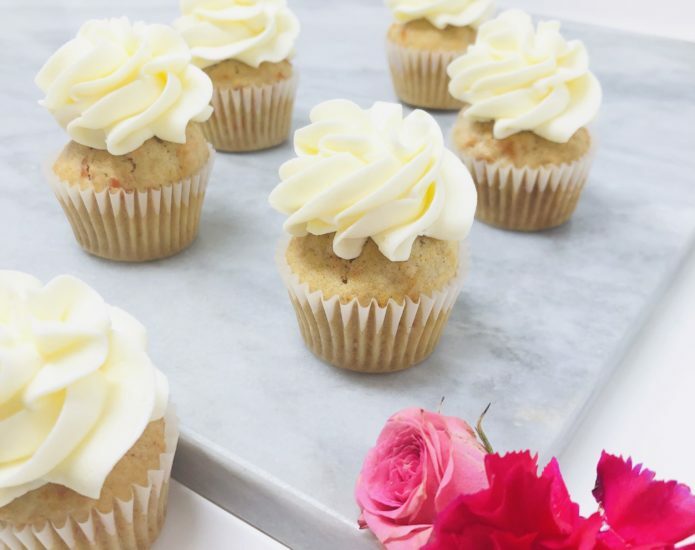 Each cupcake is topped with a hand-decorated cupcake themed sugar cookie. Boo! 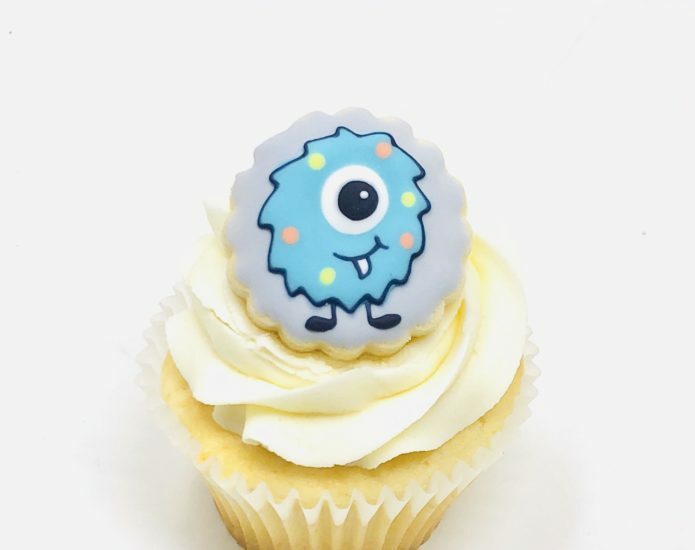 Monster themed cupcakes are made from scratch and baked fresh to order. 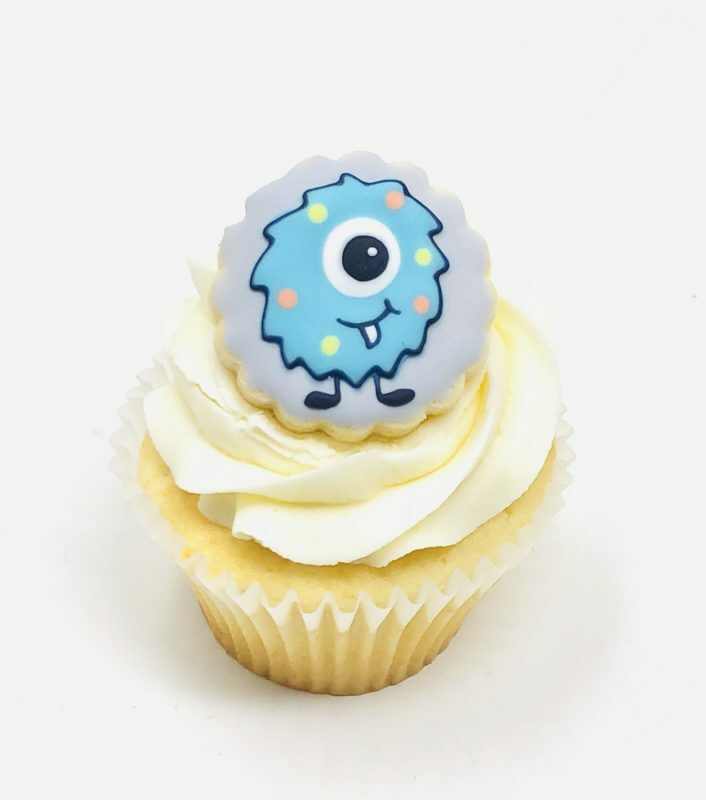 Each cupcake is topped with an adorable hand-decorated monster sugar cookie. I pick you! Cactus themed cupcakes are made from scratch and baked fresh to order. 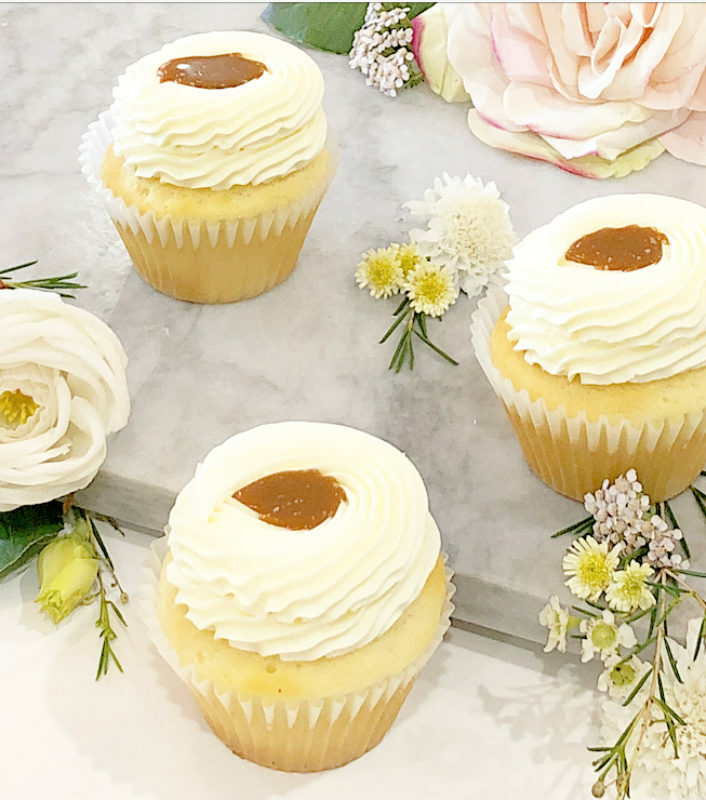 Each cupcake is topped with a hand-decorated cactus sugar cookie. Aloha! 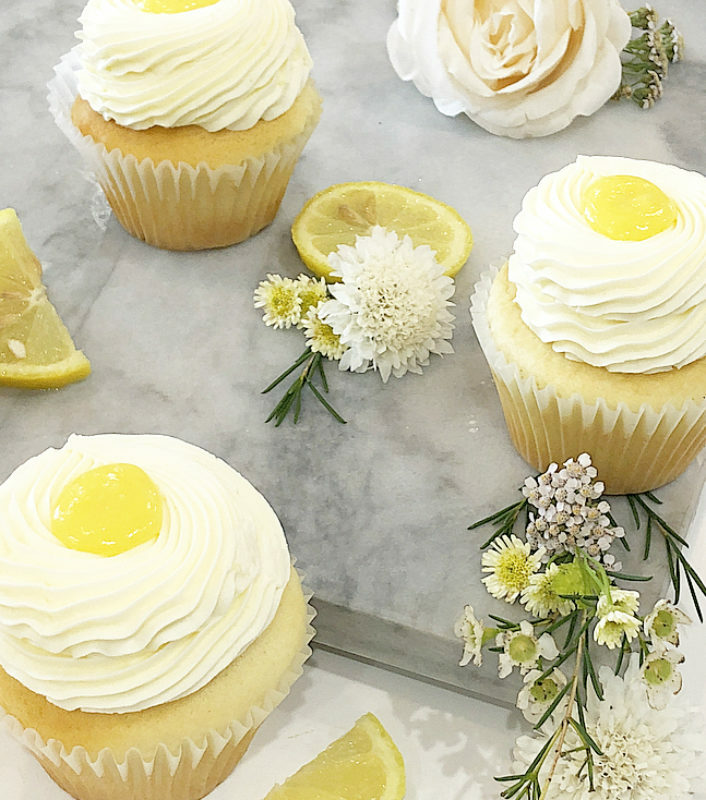 ‘Pineapple’ themed cupcakes are made from scratch and baked fresh to order. Each cupcake is topped with a hand-decorated pineapple themed sugar cookie. Cat themed cupcakes are made from scratch and baked fresh to order. 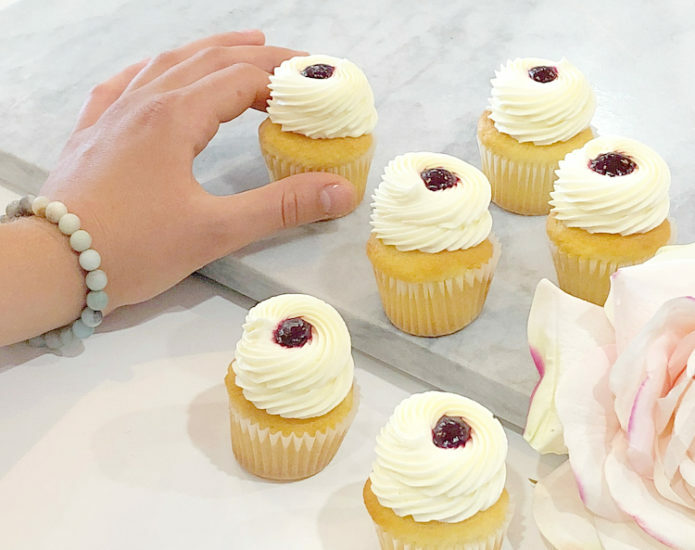 Each cupcake is topped with a hand-decorated paw print sugar cookie. Royalty! Princess themed cupcakes are made from scratch and baked fresh to order. 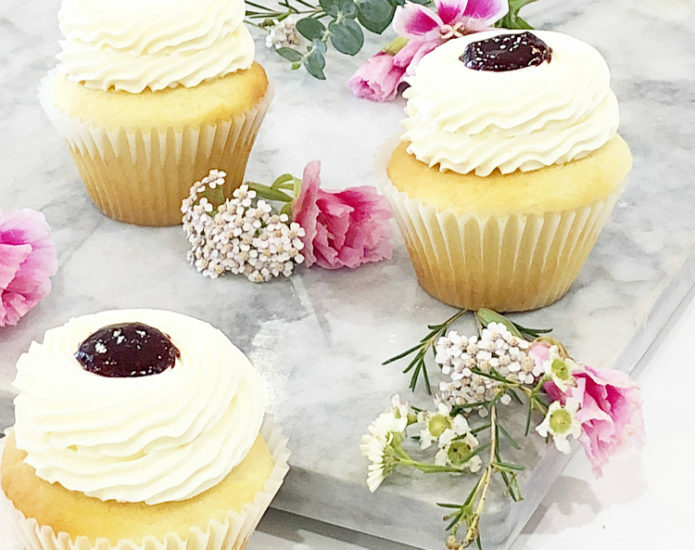 Each cupcake is topped with a hand-decorated princess crown sugar cookie. Winner! Soccer themed cupcakes are made from scratch and baked fresh to order. Each cupcake is topped with a hand-decorated soccer ball sugar cookie. Oh Boy! Blue Baby themed cupcakes are made from scratch and baked fresh to order. 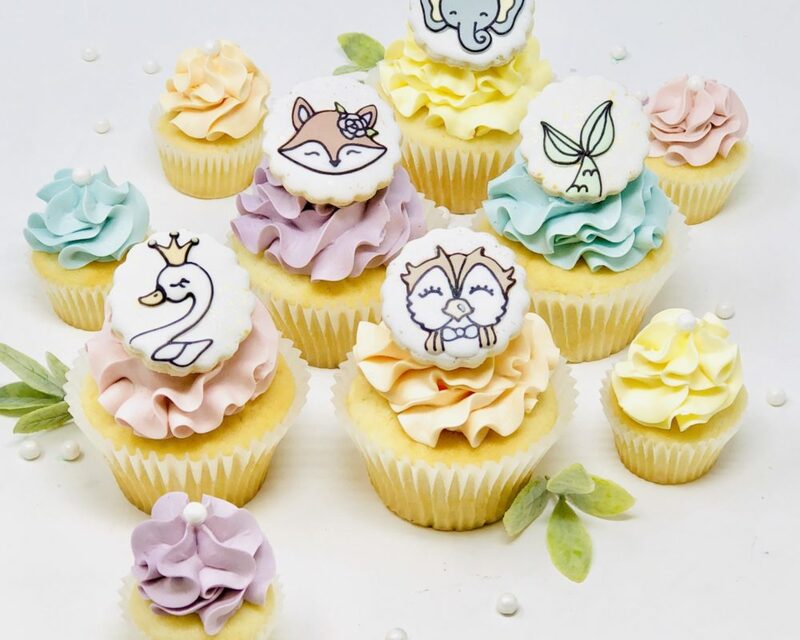 Each cupcake is topped with a hand-decorated baby stroller sugar cookie. Think Pink! 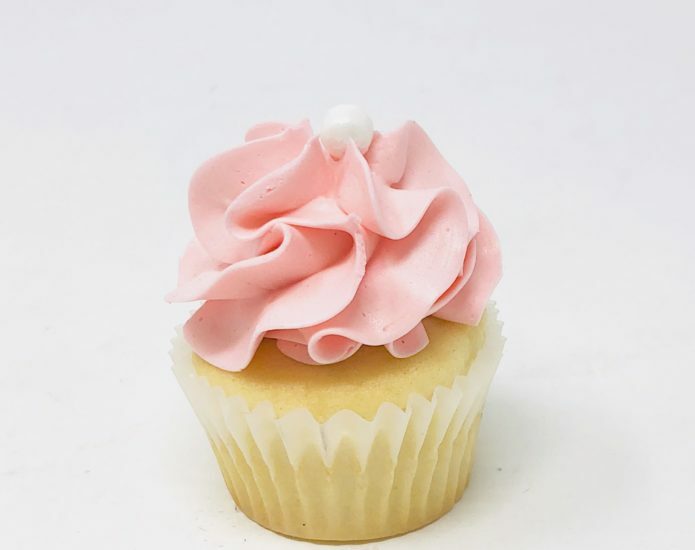 Pink Baby themed cupcakes are made from scratch and baked fresh to order. 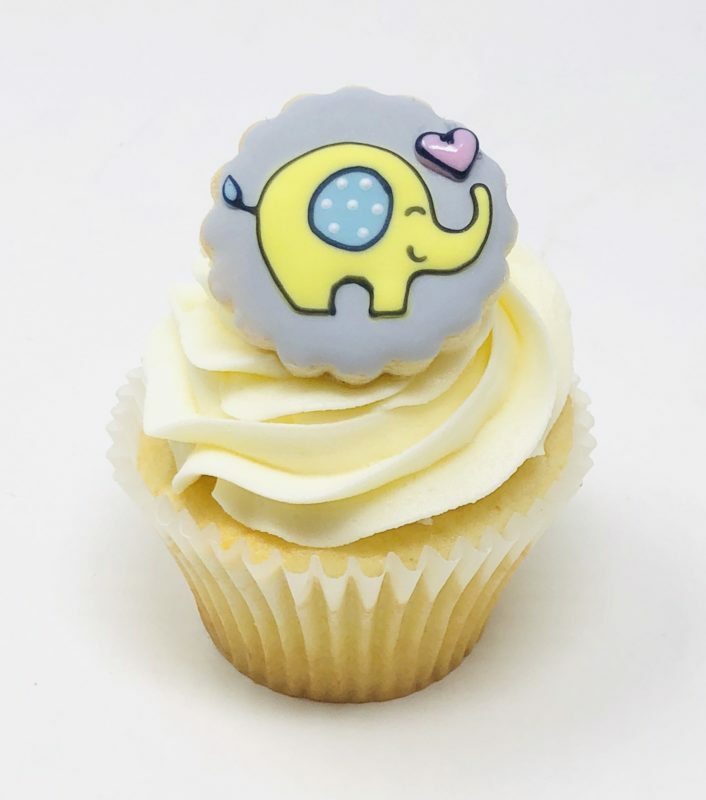 Each cupcake is topped with a hand-decorated baby stroller sugar cookie. Fiesta! Llama themed cupcakes are made from scratch and baked fresh to order. Each cupcake is topped with a hand-decorated llama sugar cookie. Blessings! Cross themed cupcakes are made from scratch and baked fresh to order. 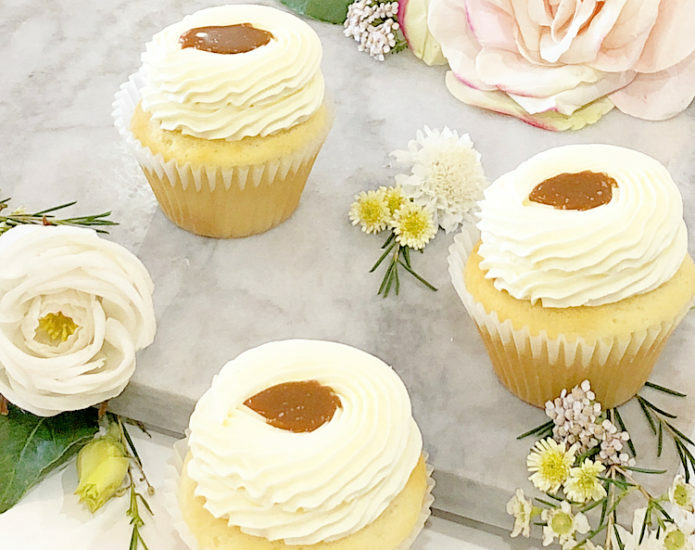 Each cupcake is topped with a hand-decorated cross sugar cookie. Perfect for any religious celebration! Let’s celebrate! Party themed cupcakes are made from scratch and baked fresh to order. 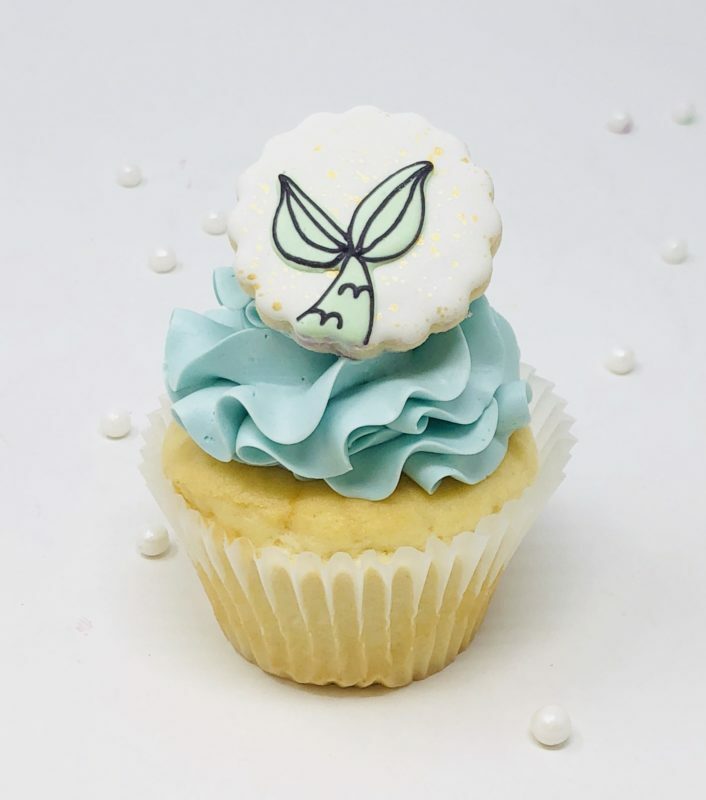 Each cupcake is topped with a hand-decorated party themed sugar cookie. Personalize with a number for no extra charge. Love is in the air! Celebrate themed cupcakes are made from scratch and baked fresh to order. 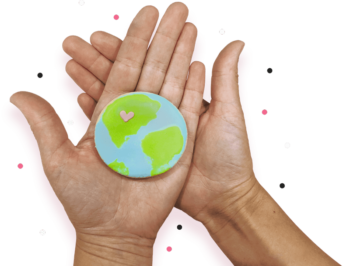 Each cupcake is topped with a hand-decorated heart themed sugar cookie. Personalize with initials for no extra charge. Perfect for engagement parties and anniversaries! Make a splash! 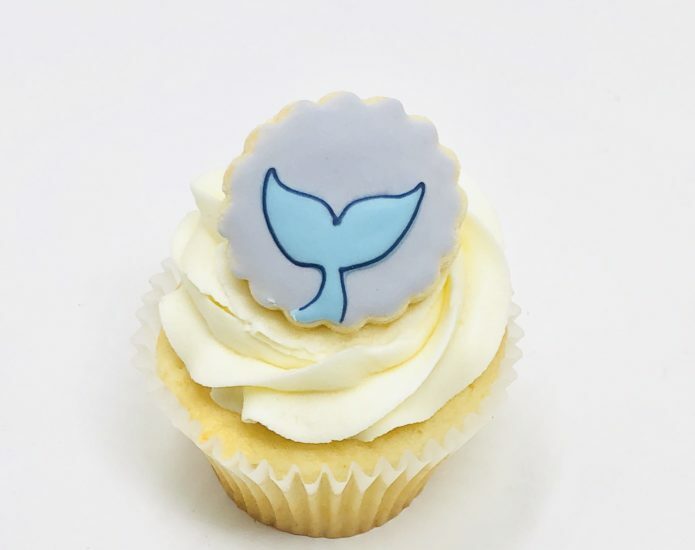 Whale themed cupcakes are made from scratch and baked fresh to order. 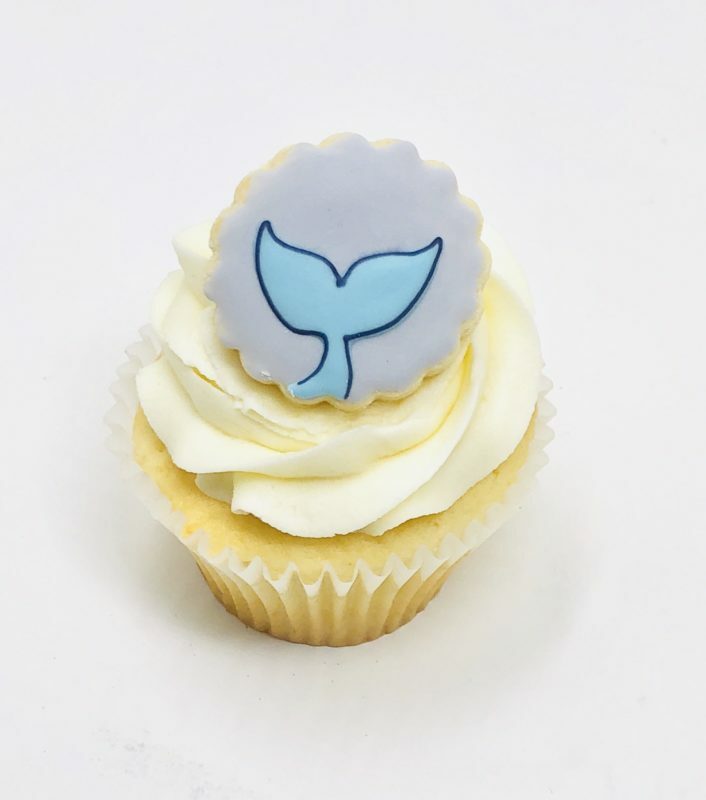 Each cupcake is topped with a hand-decorated whale tail sugar cookie. Cute as a button! 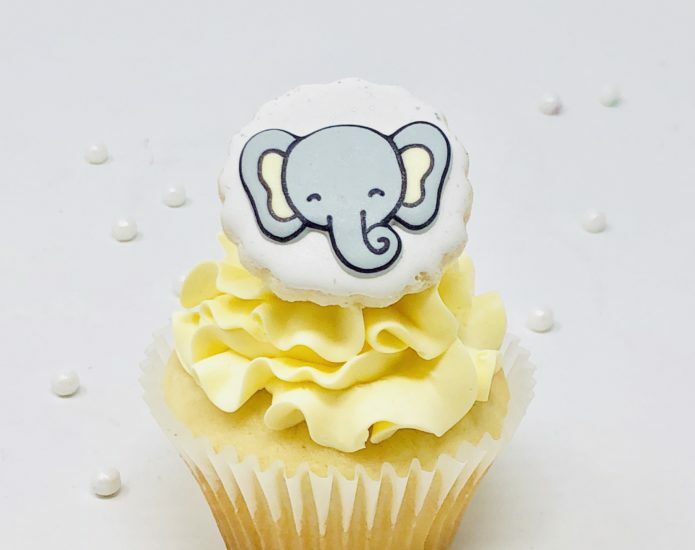 Elephant themed cupcakes are made from scratch and baked fresh to order. 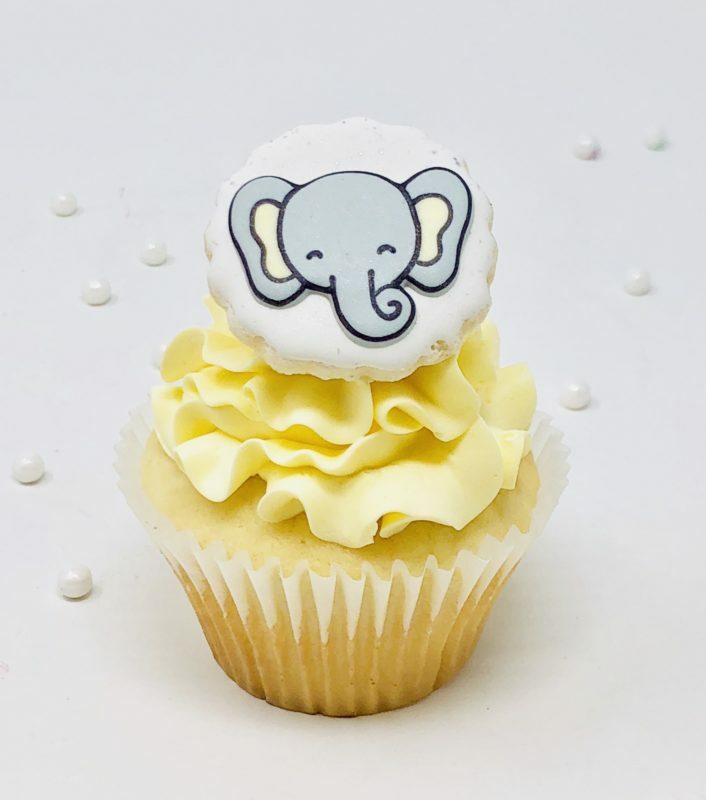 Each cupcake is topped with a hand-decorated elephant sugar cookie. Hey foxy! 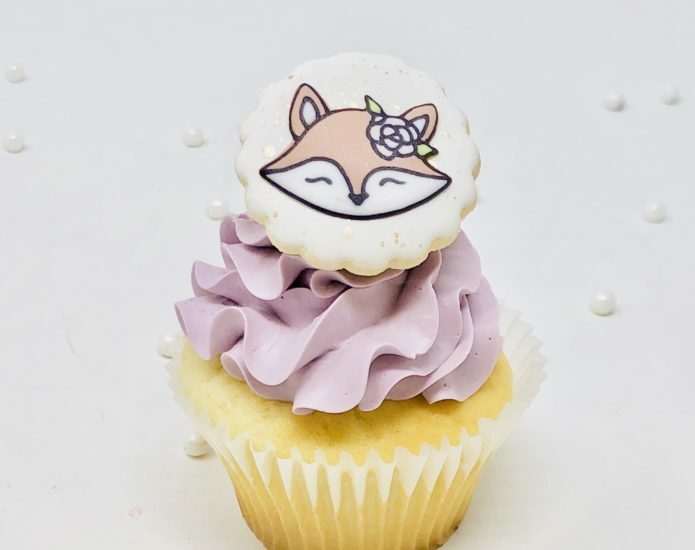 Fox themed cupcakes are made from scratch and baked fresh to order. 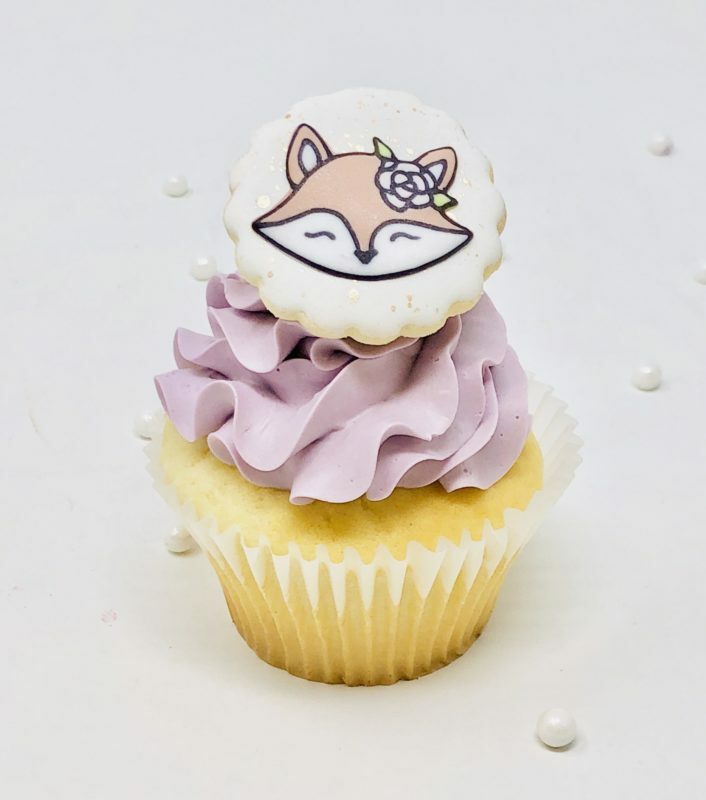 Each cupcake is topped with a hand-decorated fox sugar cookie. Hoot hoot! Owl themed cupcakes are made from scratch and baked fresh to order. 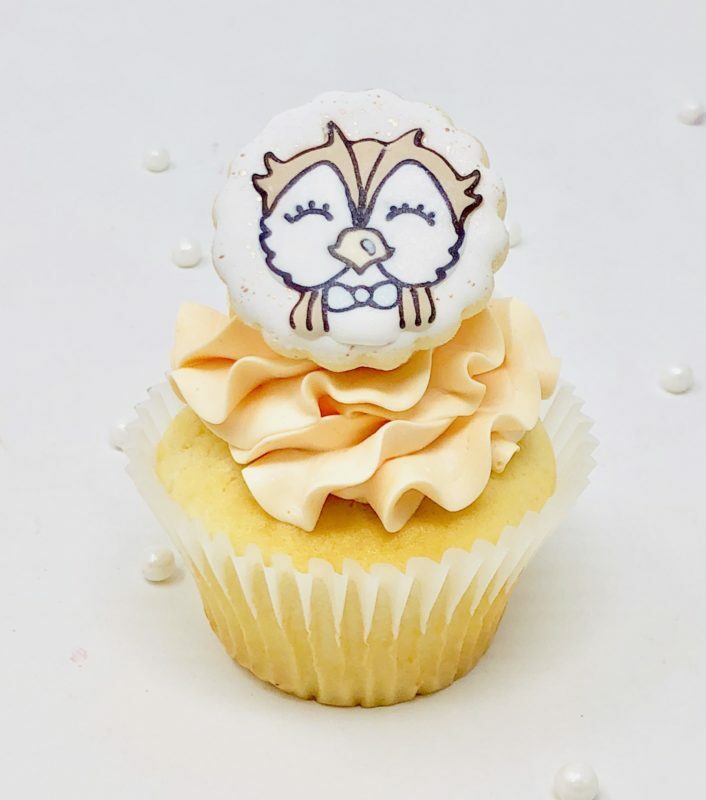 Each cupcake is topped with a hand-decorated owl sugar cookie. Modern and trendy! 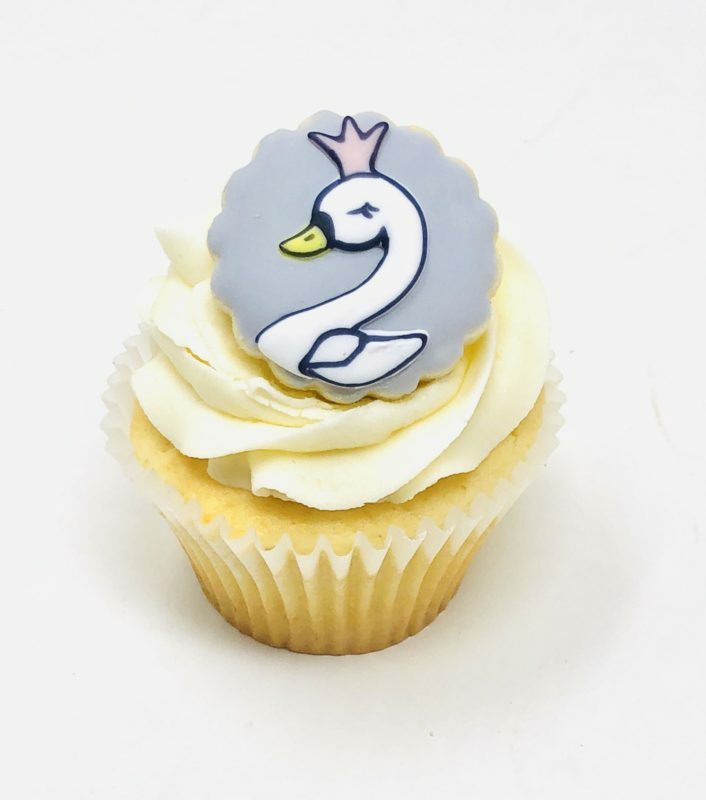 Swan themed cupcakes are made from scratch and baked fresh to order. 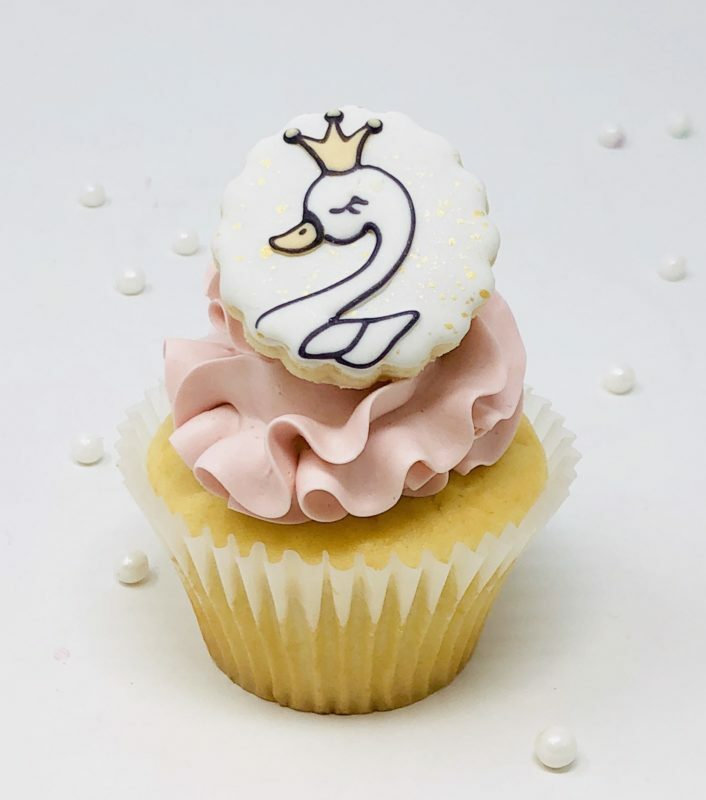 Each cupcake is topped with a hand-decorated swan princess sugar cookie. 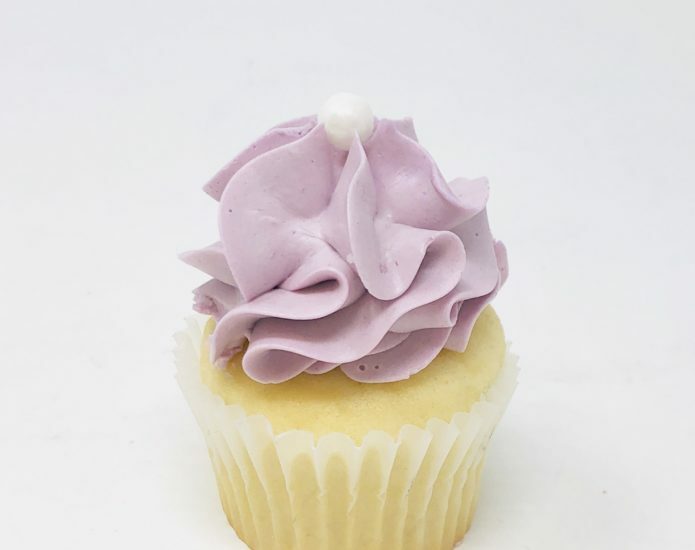 Lilac Luxe Cupcakes are swirled with pastel purple coloured vanilla meringue buttercream. They are made from scratch and baked fresh to order. 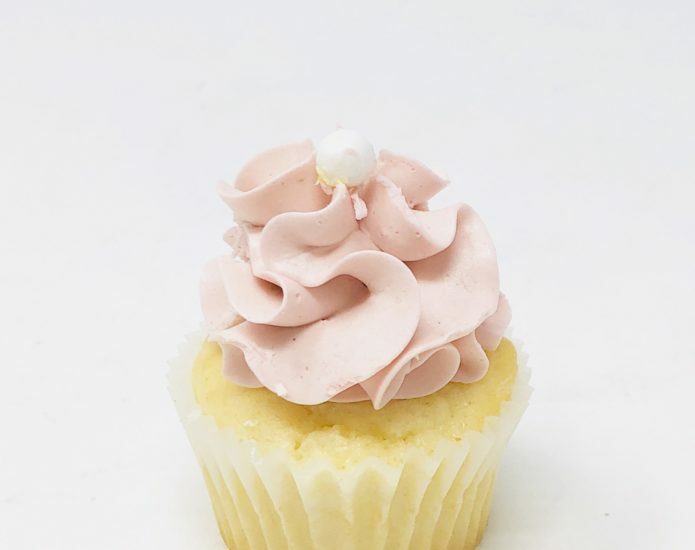 Pink Luxe Cupcakes are swirled with pastel pink coloured vanilla meringue buttercream. They are made from scratch and baked fresh to order. 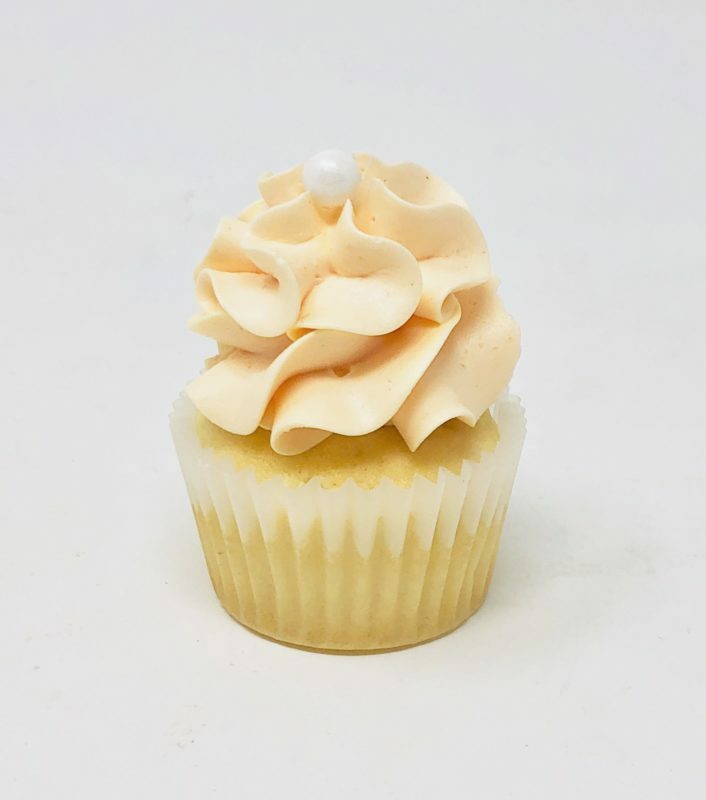 Peach Luxe Cupcakes are swirled with pastel peach coloured vanilla meringue buttercream. They are made from scratch and baked fresh to order. swirled with blush pink coloured vanilla meringue buttercream. They are made from scratch and baked fresh to order. 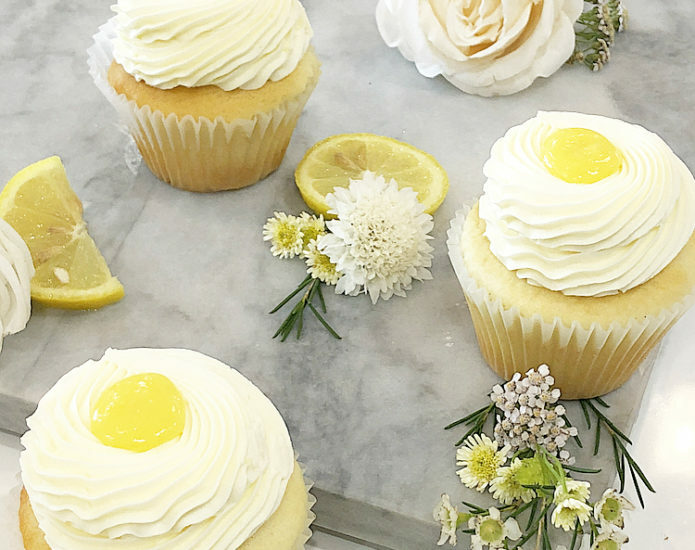 Yellow Luxe Cupcakes are swirled with pastel yellow coloured vanilla meringue buttercream. They are made from scratch and baked fresh to order. 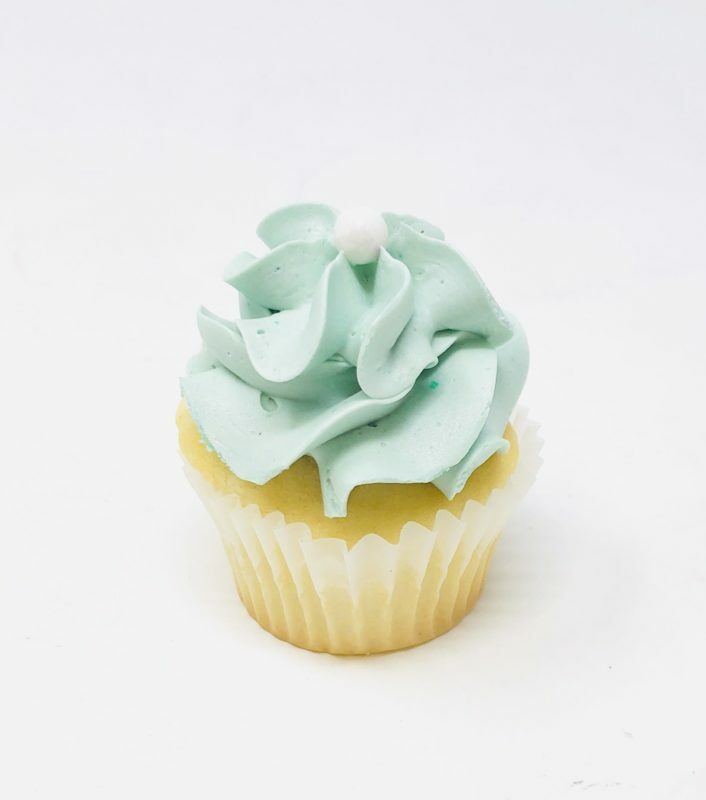 Blue Luxe Cupcakes are swirled with pastel blue coloured vanilla meringue buttercream. They are made from scratch and baked fresh to order. 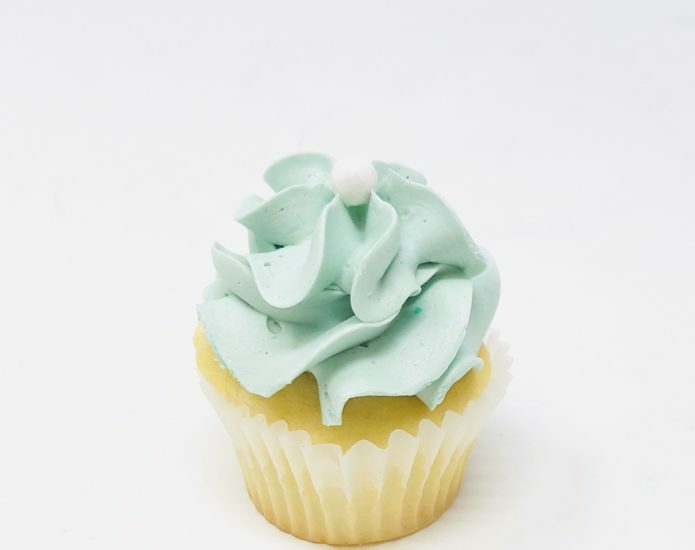 Aqua Luxe Cupcakes are swirled with pastel aqua coloured vanilla meringue buttercream. They are made from scratch and baked fresh to order. 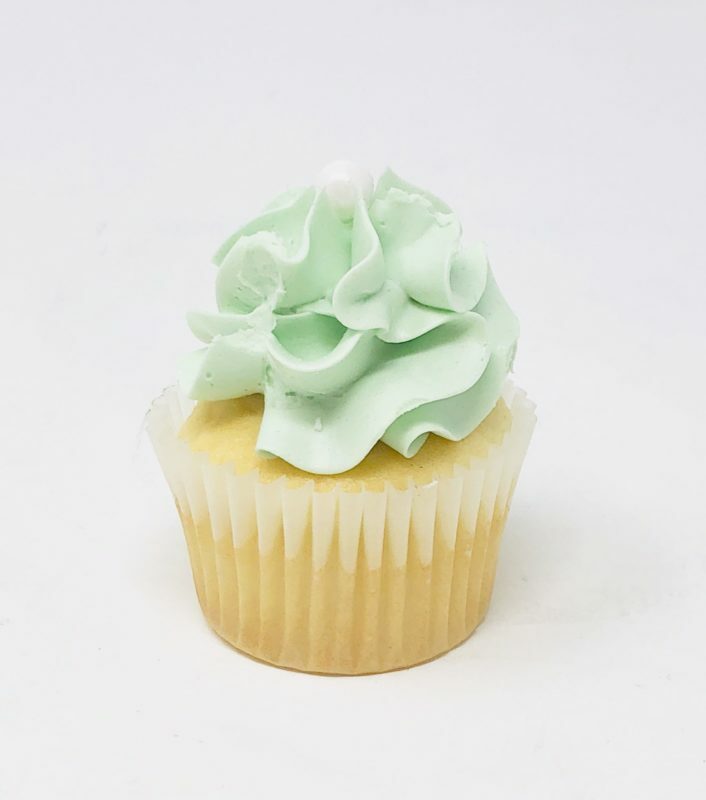 Green Luxe Cupcakes are swirled with mint green coloured vanilla meringue buttercream. They are made from scratch and baked fresh to order. 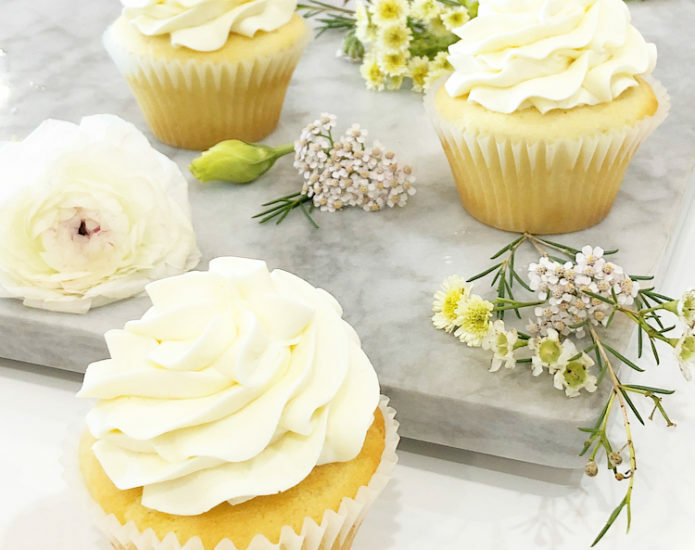 Ivory Luxe Cupcakes are swirled with vanilla meringue buttercream. They are made from scratch and baked fresh to order. 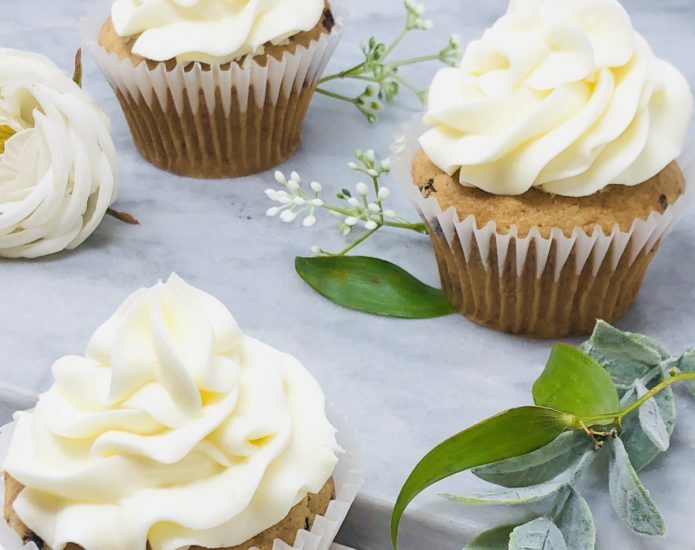 Grey Luxe Cupcakes are swirled with light grey coloured vanilla meringue buttercream. They are made from scratch and baked fresh to order. 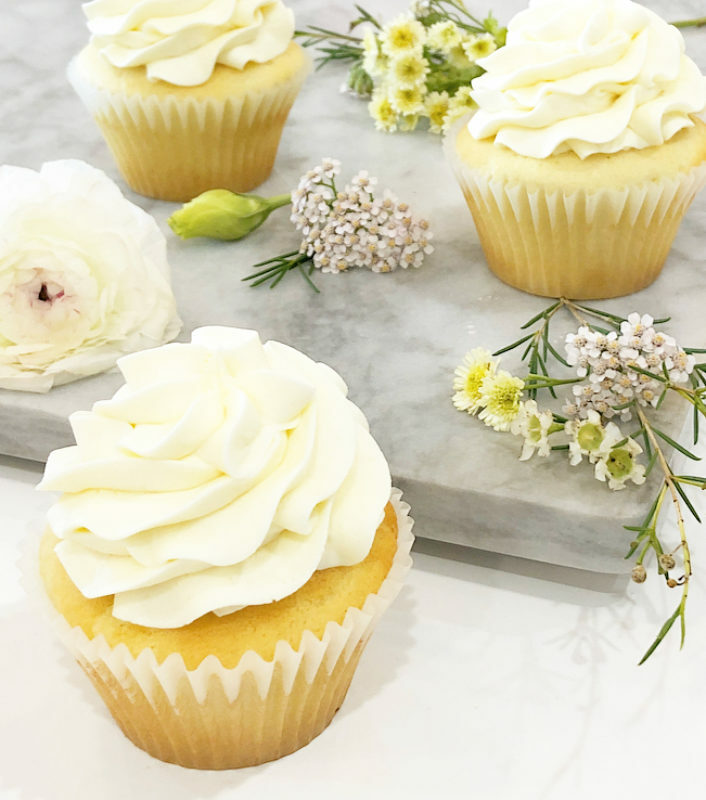 Vanilla Yum Cupcakes are vanilla cupcakes swirled with vanilla buttercream icing. They are are made from scratch and baked fresh to order. 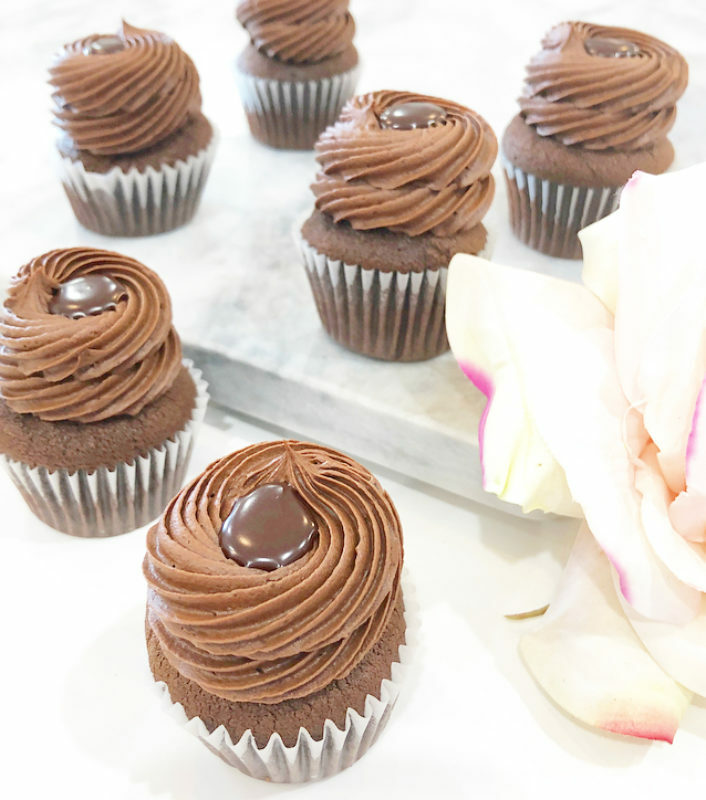 Black Chocolate Cupcakes are chocolate cupcakes swirled with chocolate buttercream icing. They are are made from scratch and baked fresh to order. 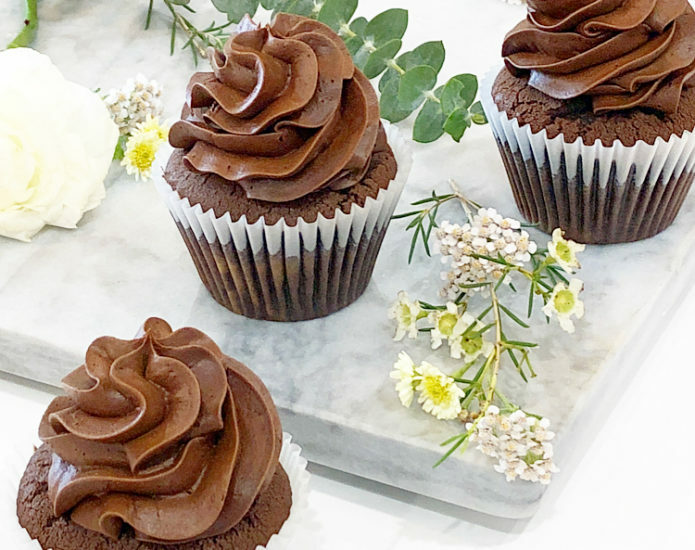 Cookies n’ Cream Cupcakes are chocolate cupcakes swirled with cookie crumble buttercream icing and topped with homemade chocolate ganache. They are are made from scratch and baked fresh to order. 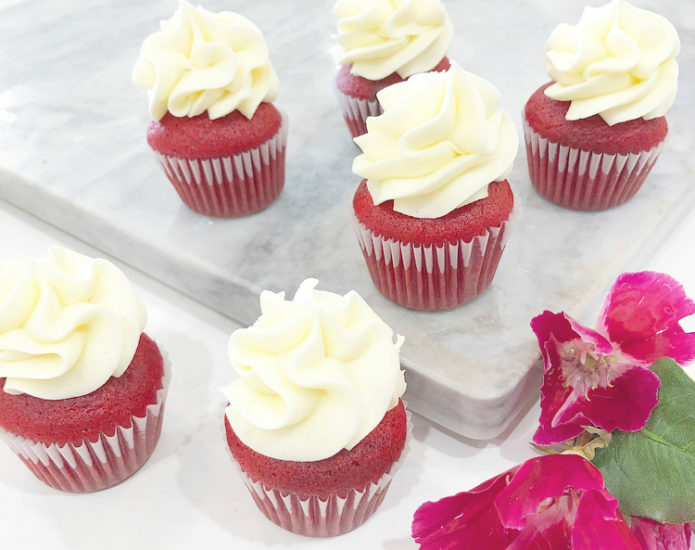 Red Velvet Cupcakes are swirled with cream cheese icing. They are are made from scratch and baked fresh to order. 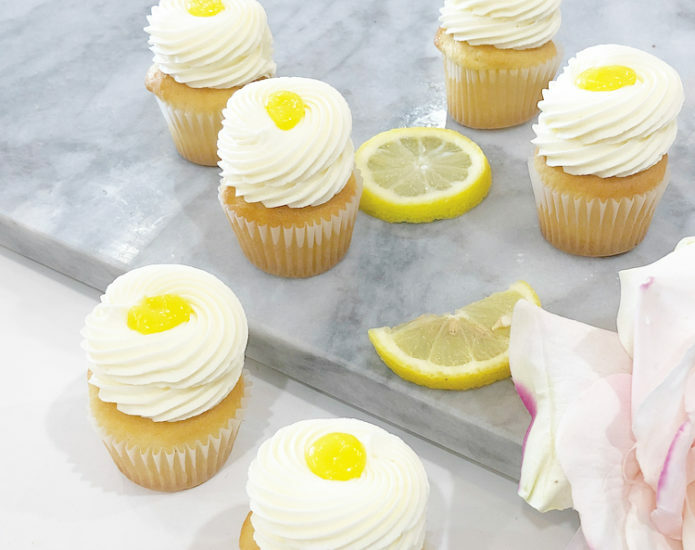 Lemon Lover Cupcakes are lemon cupcakes swirled with vanilla buttercream icing and topped with homemade lemon curd. They are are made from scratch and baked fresh to order. 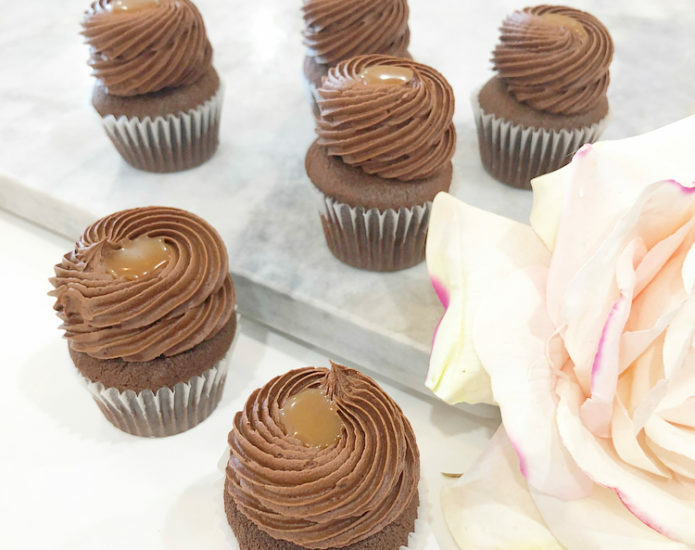 Chocolate Salted Caramel Cupcakes are chocolate cupcakes swirled with chocolate buttercream icing and topped with homemade caramel and sea salt. They are are made from scratch and baked fresh to order. 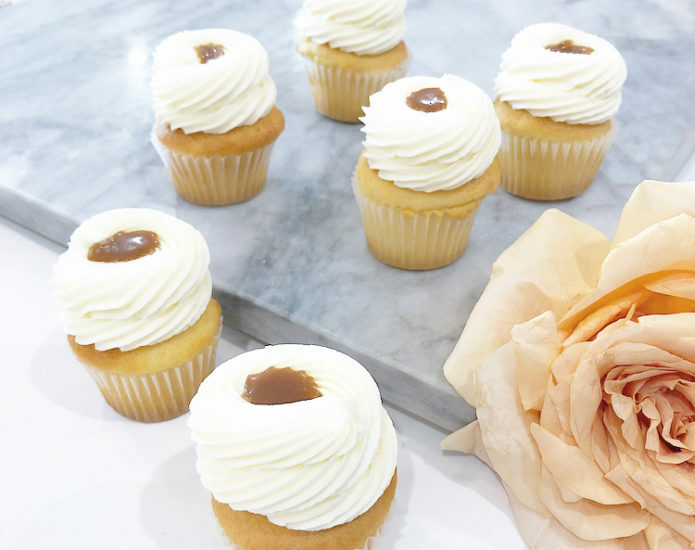 Salted Caramel Cupcakes are honey cupcakes swirled with caramel buttercream icing and topped with homemade caramel and sea salt. They are are made from scratch and baked fresh to order. 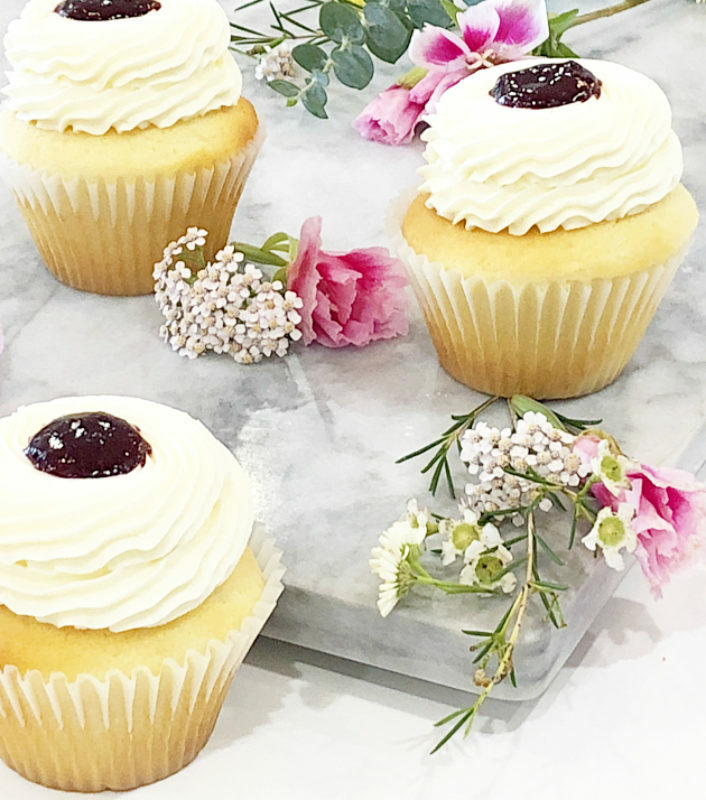 Vanilla Berry Cupcakes are vanilla cupcakes swirled with vanilla buttercream icing and topped with berry compote. They are are made from scratch and baked fresh to order. 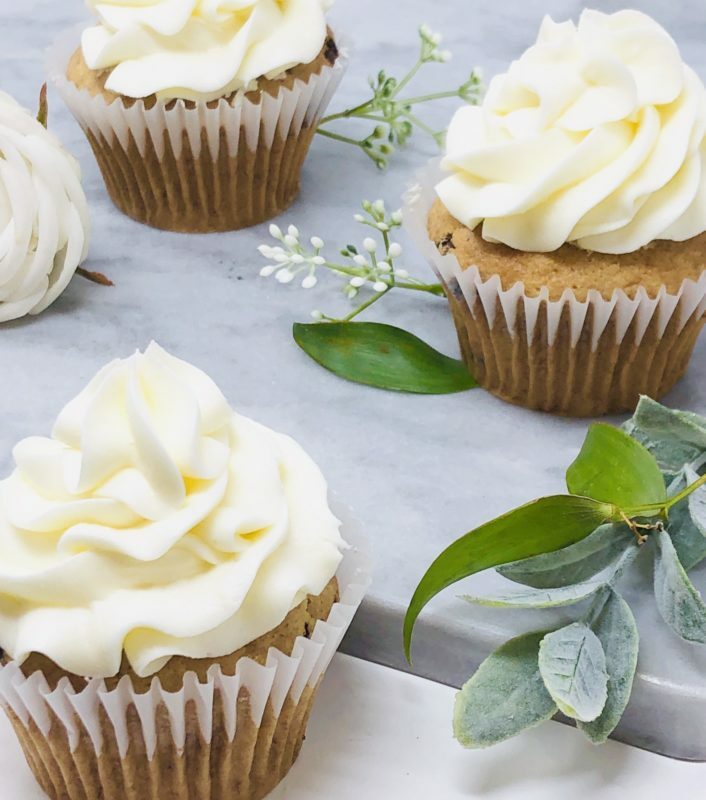 Carrot Supreme Cupcakes are swirled with cream cheese icing. They are are made from scratch and baked fresh to order. 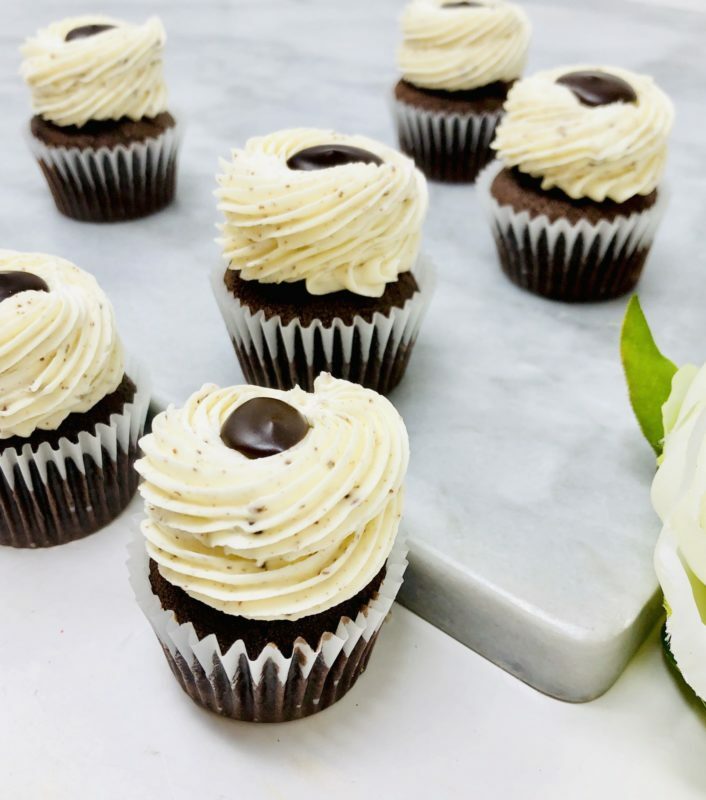 Chunky Monkey Cupcakes are banana chocolate chip cupcakes swirled with cream cheese icing. They are are made from scratch and baked fresh to order. 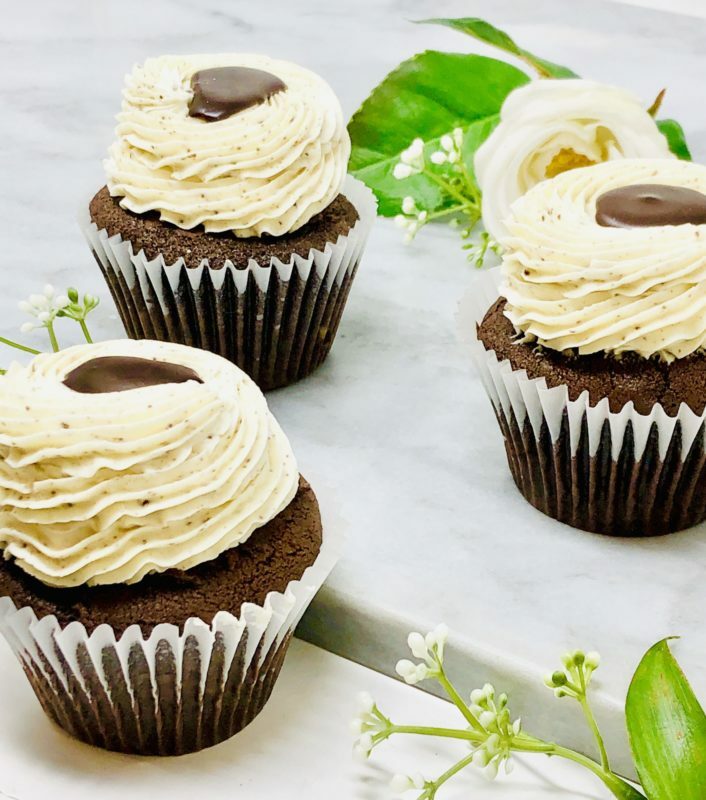 Cocoa Banana Cupcakes are banana chocolate chip cupcakes swirled with chocolate buttercream icing. They are are made from scratch and baked fresh to order. 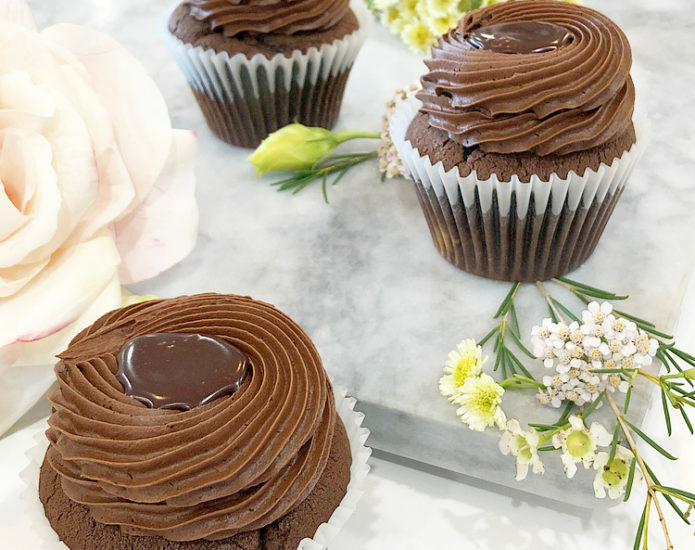 Triple Chocolate Cupcakes are chocolate cupcakes swirled with chocolate buttercream icing and topped with homemade chocolate ganache. They are are made from scratch and baked fresh to order. 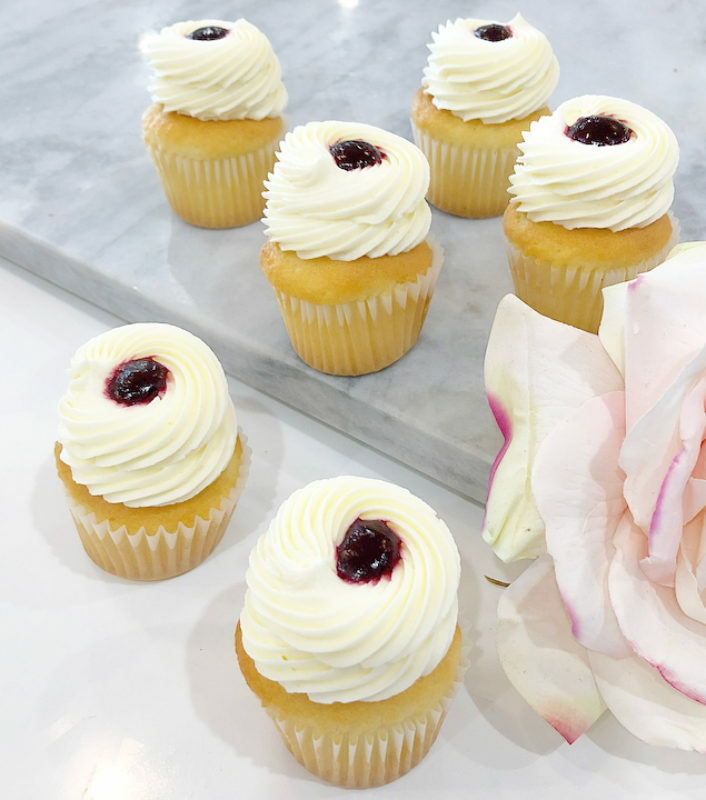 Lemon Berry Cupcakes are lemon cupcake swirled with vanilla buttercream icing and topped with homemade berry compote. They are are made from scratch and baked fresh to order. 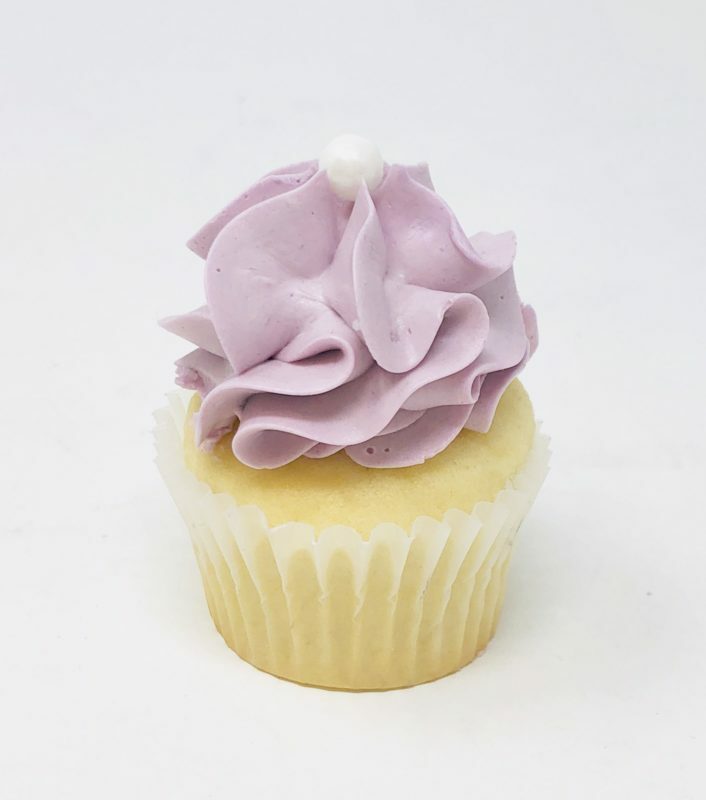 Lilac Luxe Mini Cupcakes are bite size cupcakes swirled with pastel purple coloured vanilla meringue buttercream. They are made from scratch and baked fresh to order. 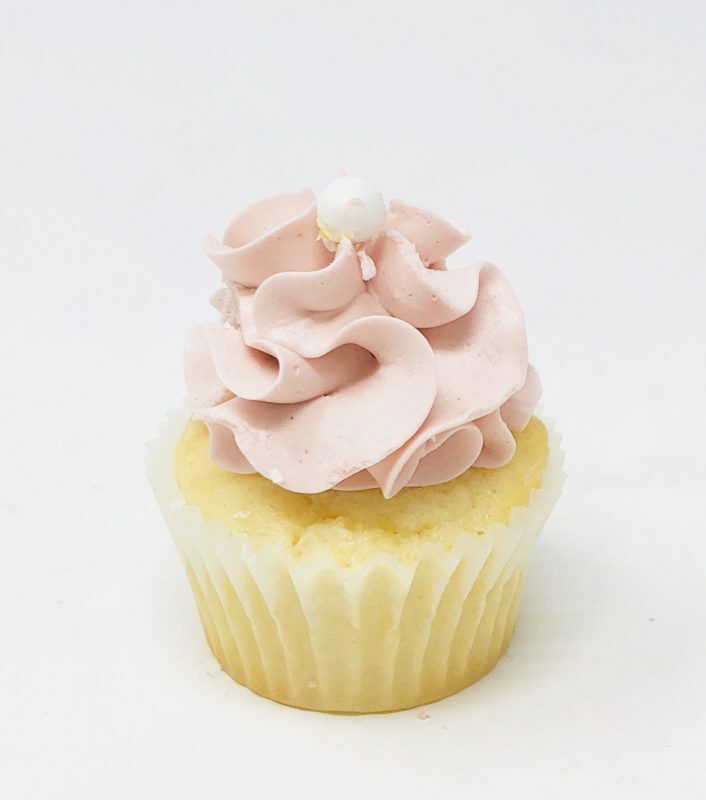 Pink Luxe Mini Cupcakes are bite size cupcakes swirled with pastel pink coloured vanilla meringue buttercream. They are made from scratch and baked fresh to order. 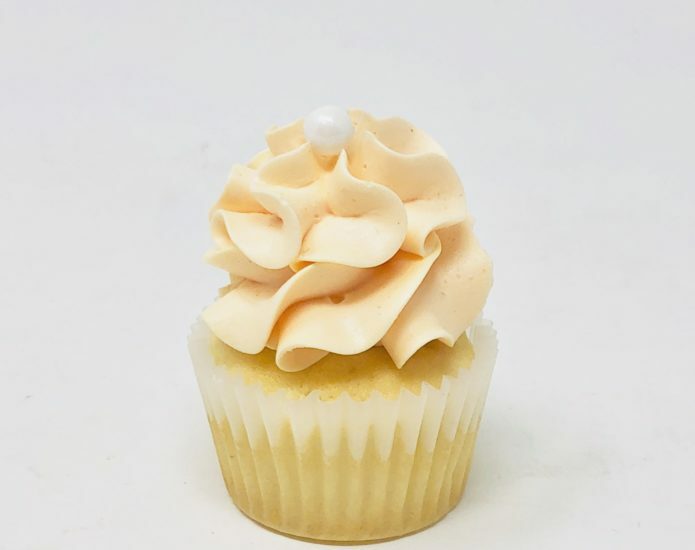 Peach Luxe Mini Cupcakes are bite size cupcakes swirled with pastel peach coloured vanilla meringue buttercream. They are made from scratch and baked fresh to order. 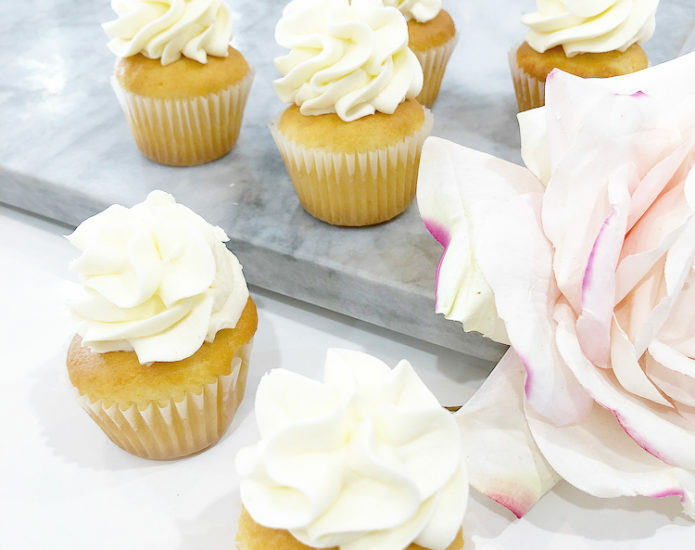 Blush Luxe Mini Cupcakes are bite size cupcakes swirled with pastel blush pink coloured vanilla meringue buttercream. They are made from scratch and baked fresh to order. 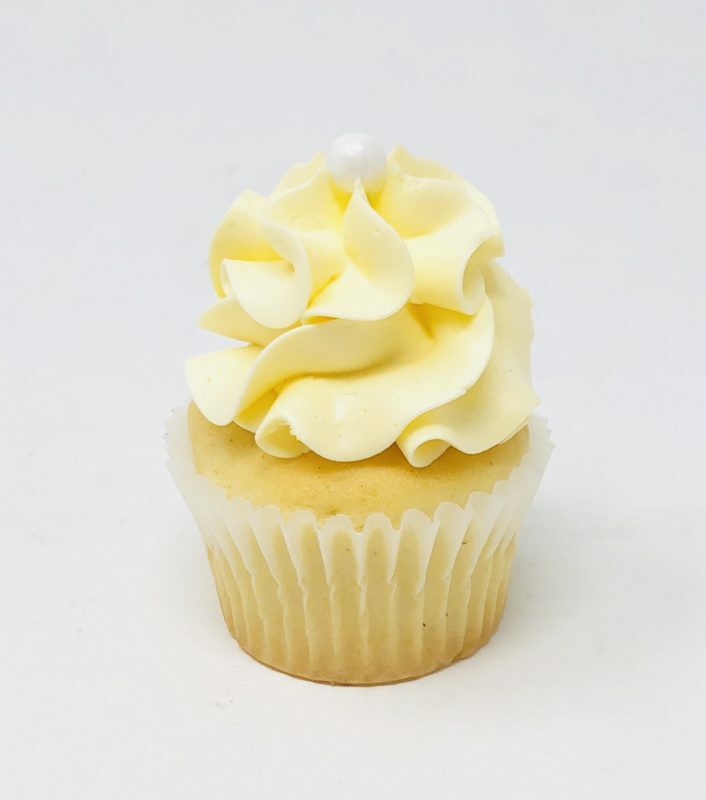 Yellow Luxe Mini Cupcakes are bite size cupcakes swirled with pastel yellow coloured vanilla meringue buttercream. They are made from scratch and baked fresh to order. 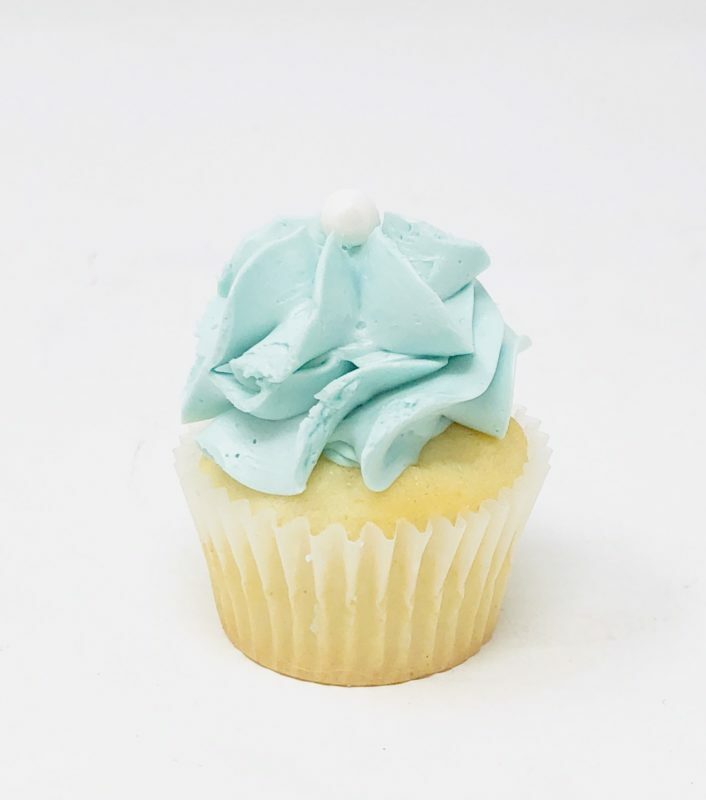 Blue Luxe Mini Cupcakes are bite size cupcakes swirled with pastel blue coloured vanilla meringue buttercream. They are made from scratch and baked fresh to order. Aqua Luxe Mini Cupcakes are bite size cupcakes swirled with pastel aqua coloured vanilla meringue buttercream. They are made from scratch and baked fresh to order. 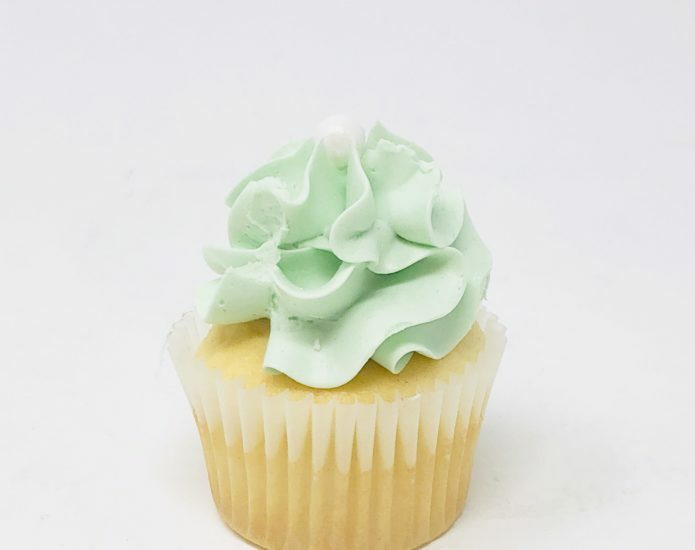 Green Luxe Mini Cupcakes are bite size cupcakes swirled with mint green coloured vanilla meringue buttercream. They are made from scratch and baked fresh to order. 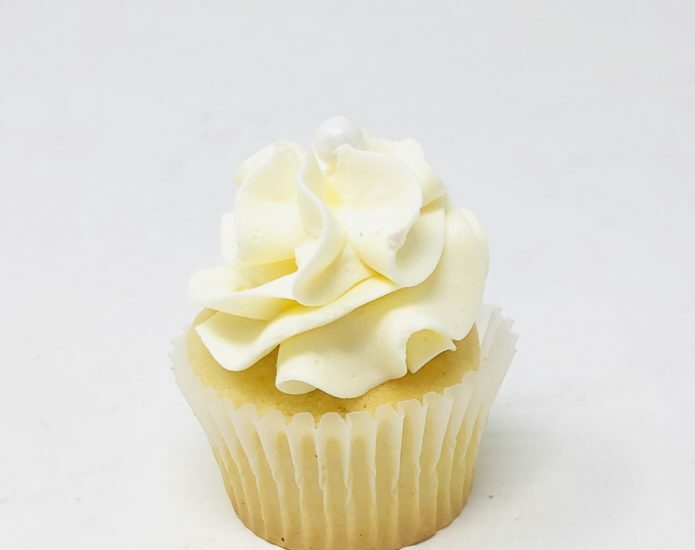 Ivory Luxe Mini Cupcakes are bite size cupcakes swirled with vanilla meringue buttercream. They are made from scratch and baked fresh to order. 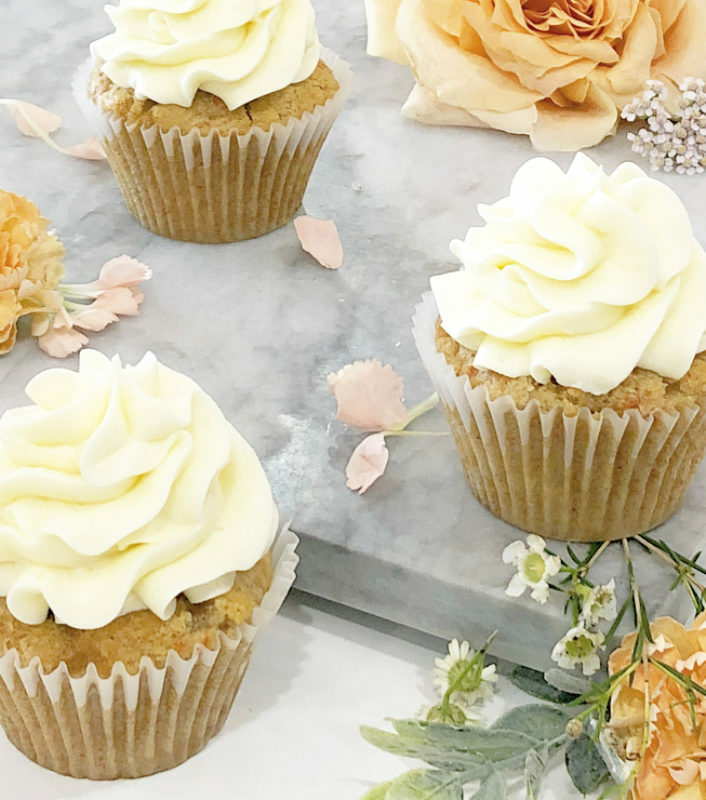 Grey Luxe Mini Cupcakes are bite size cupcakes swirled with light grey coloured vanilla meringue buttercream. They are made from scratch and baked fresh to order. 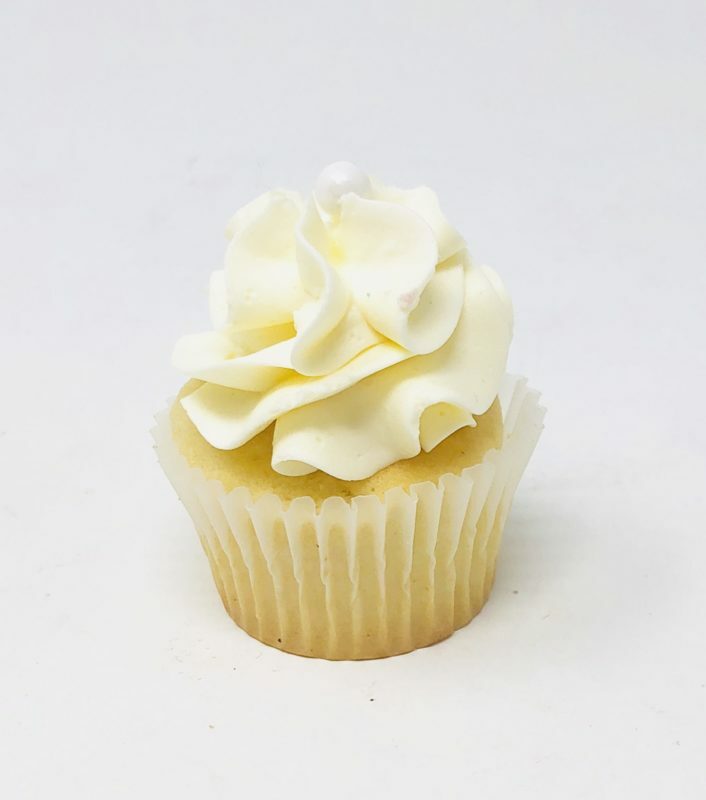 Vanilla Yum Mini Cupcakes are bite size vanilla cupcakes swirled with vanilla buttercream icing. They are are made from scratch and baked fresh to order. 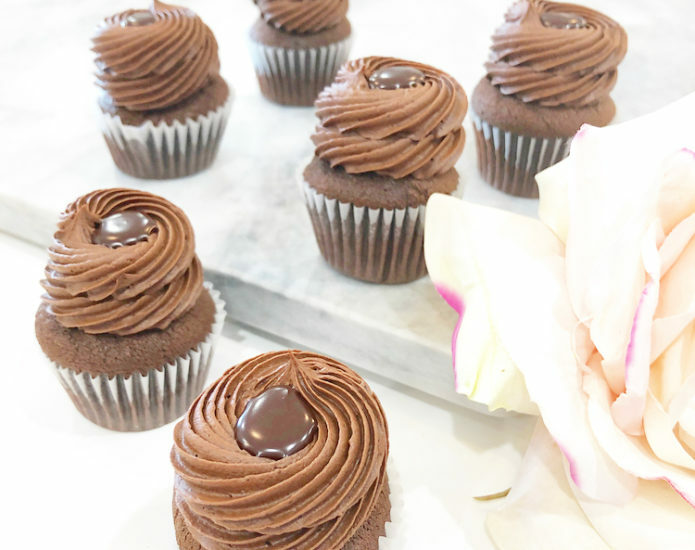 Black Chocolate Mini Cupcakes are bite size chocolate cupcakes swirled with chocolate buttercream icing. They are are made from scratch and baked fresh to order. 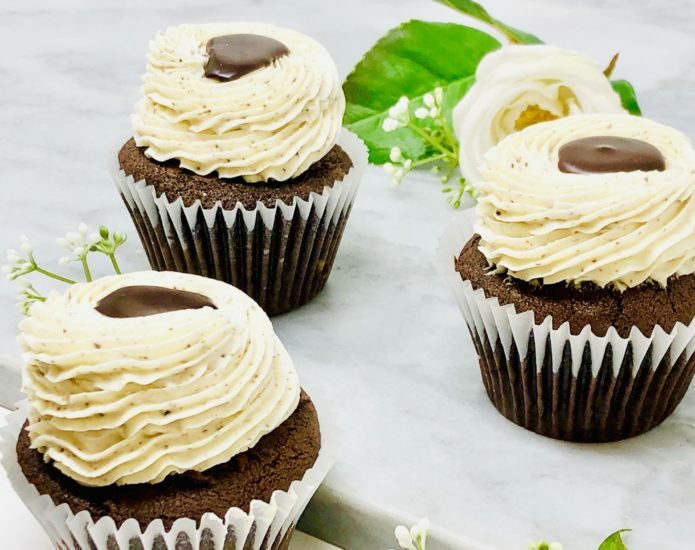 Cookies n’ Cream Mini Cupcakes are bite size chocolate cupcakes swirled with cookie crumble buttercream icing and topped with homemade chocolate ganache. They are made from scratch and baked fresh to order. 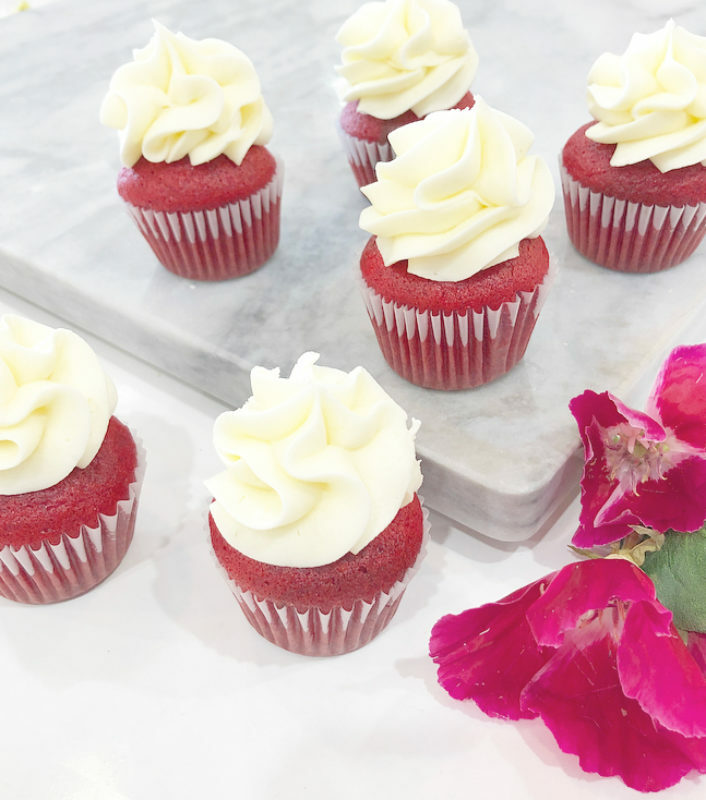 Red Velvet Mini Cupcakes are bite size red velvet cupcakes swirled with cream cheese icing. They are made from scratch and baked to order. 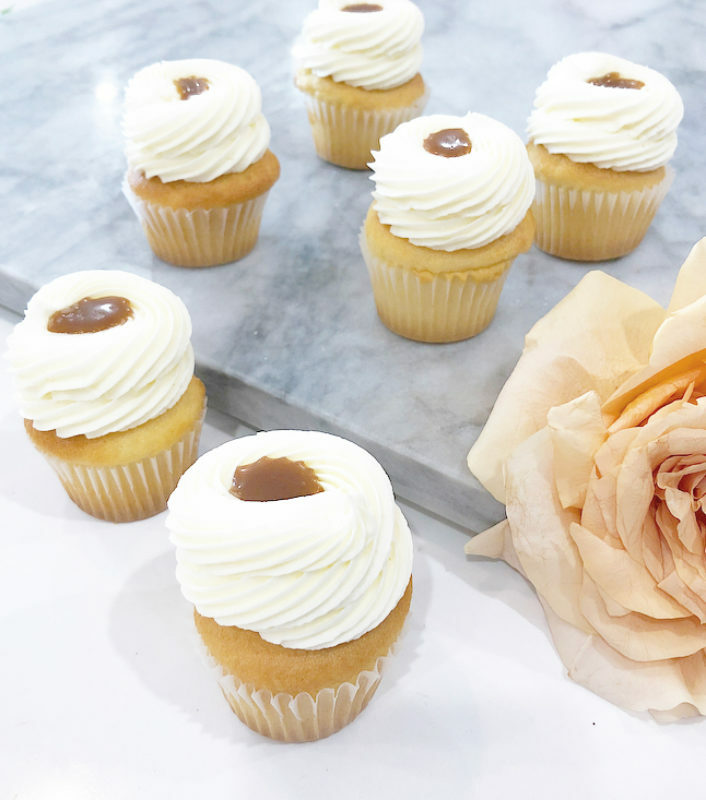 Salted Caramel Mini Cupcakes are bite size honey cupcakes swirled with caramel buttercream icing and topped with homemade caramel and sea salt. They are are made from scratch and baked fresh to order. 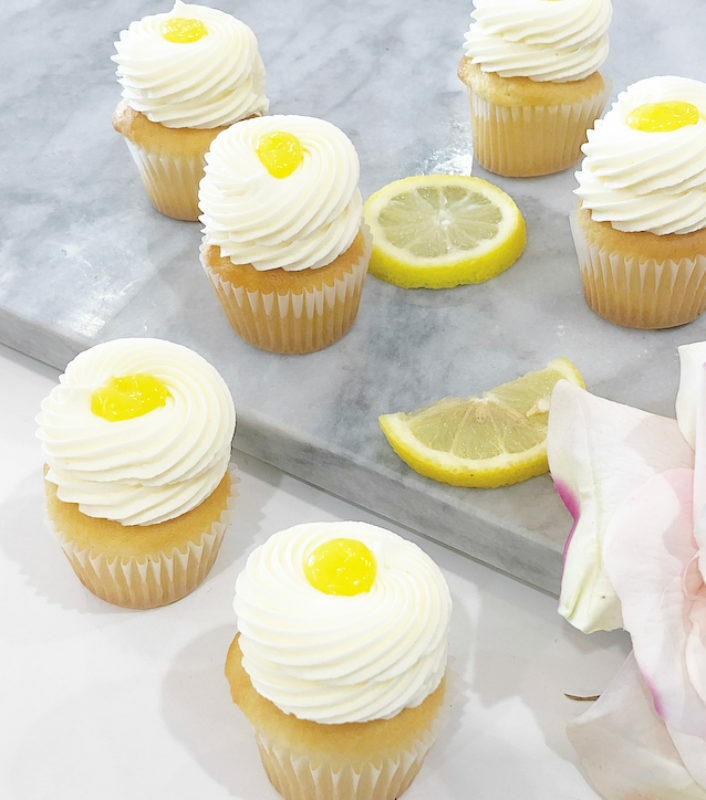 Lemon Lover Mini Cupcakes are bite size lemon cupcakes swirled with vanilla buttercream icing and topped with homemade lemon curd. They are are made from scratch and baked fresh to order. 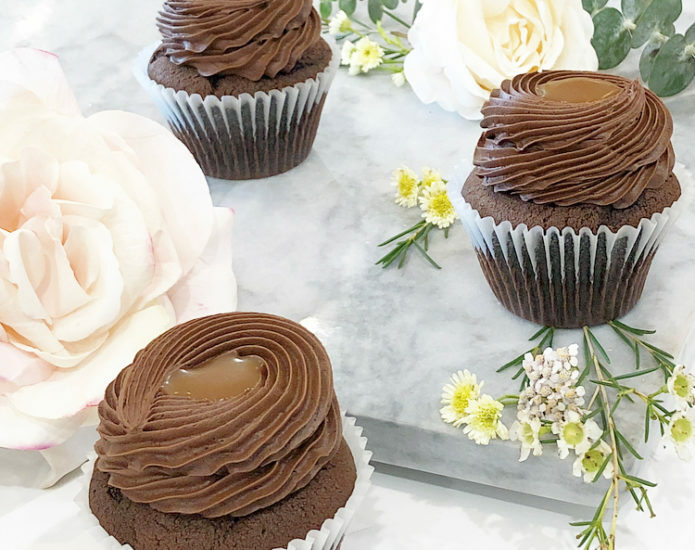 Chocolate Salted Caramel Mini Cupcakes are bite size chocolate cupcakes swirled with chocolate buttercream icing and topped with homemade caramel and sea salt. They are are made from scratch and baked fresh to order. 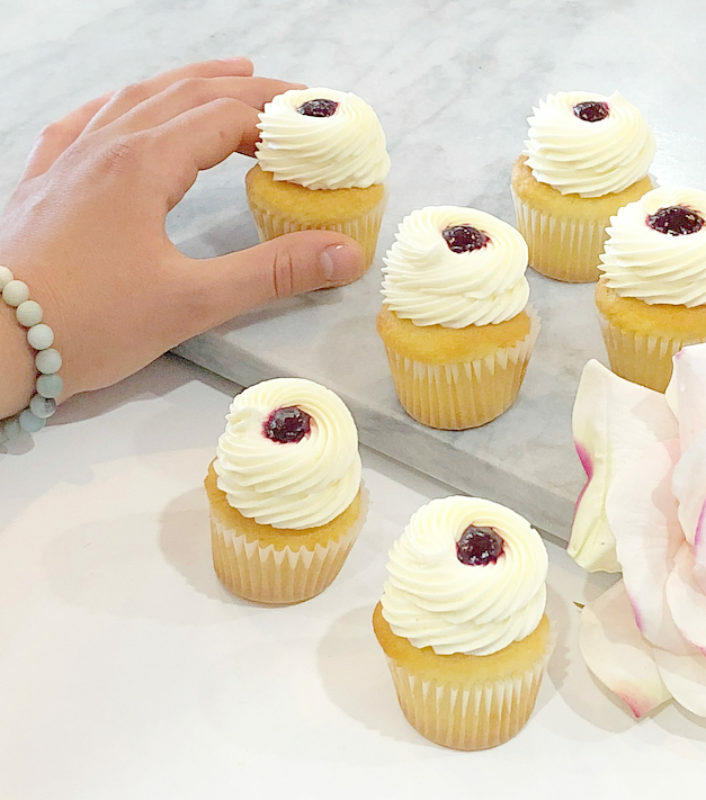 Vanilla Berry Mini Cupcakes are bite size vanilla cupcakes swirled with vanilla buttercream icing and topped with homemade berry compote. They are are made from scratch and baked fresh to order. 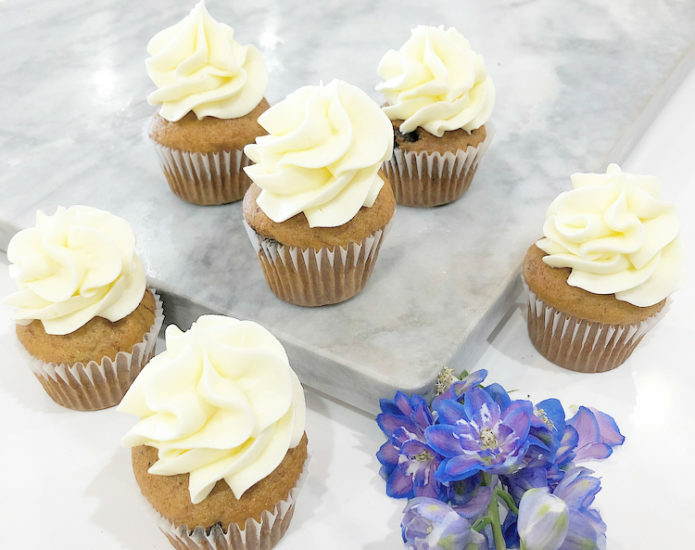 Carrot Supreme Mini Cupcakes are bite size carrot cupcakes swirled with cream cheese icing. They are are made from scratch and baked fresh to order. 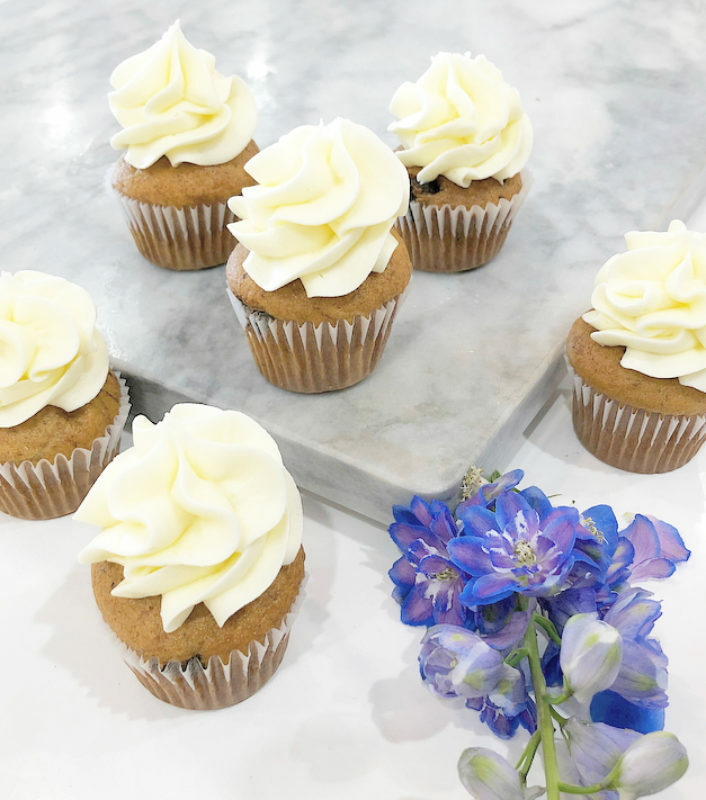 Chunky Monkey Mini Cupcakes are bite size banana chocolate chip cupcakes swirled with cream cheese icing. They are are made from scratch and baked fresh to order. 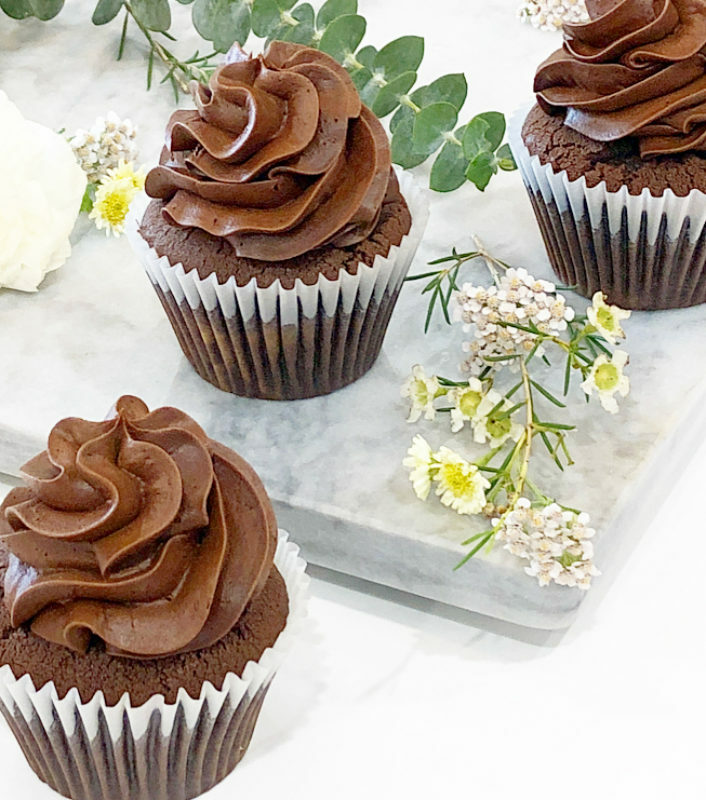 Cocoa Banana Mini Cupcakes are bite size banana chocolate chip cupcakes swirled with chocolate buttercream icing. They are are made from scratch and baked fresh to order. 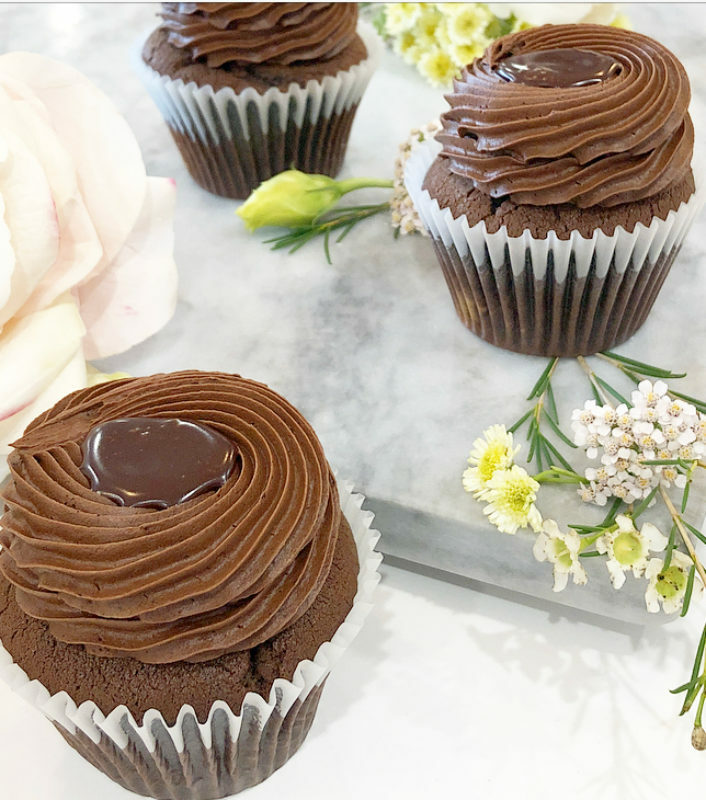 Triple Chocolate Mini Cupcakes are bite size chocolate cupcakes swirled with chocolate buttercream icing and topped with homemade chocolate ganache. They are are made from scratch and baked fresh to order. 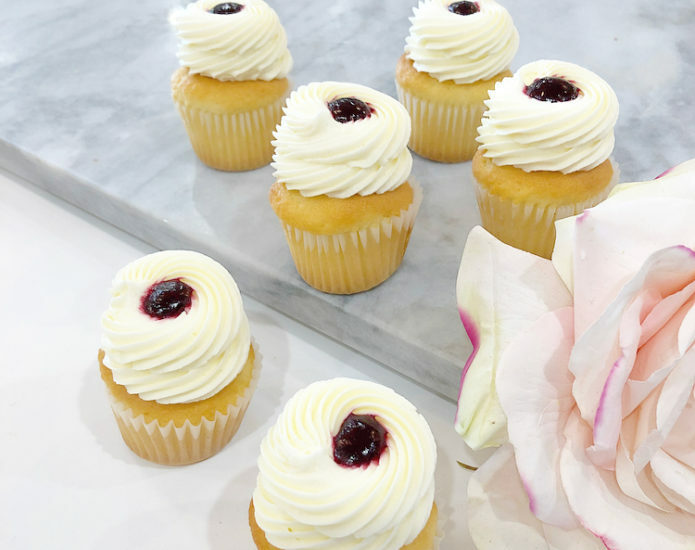 Lemon Berry Mini Cupcakes are bite size lemon cupcakes swirled with vanilla buttercream icing and topped with homemade berry compote. They are are made from scratch and baked fresh to order.